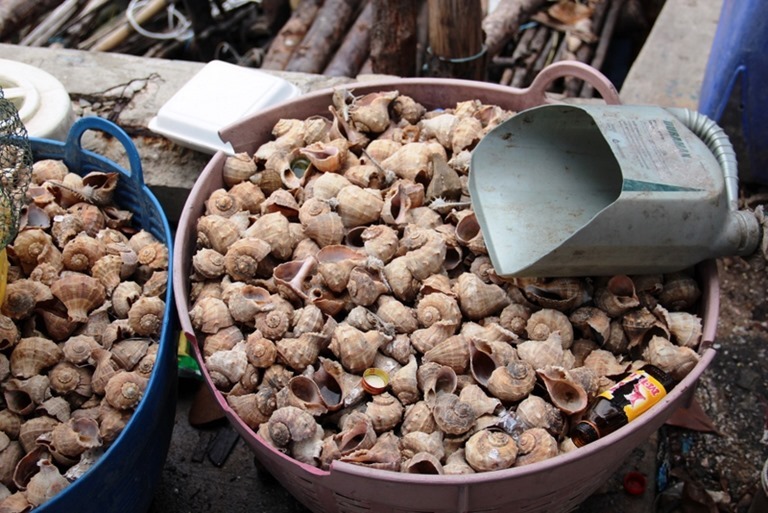 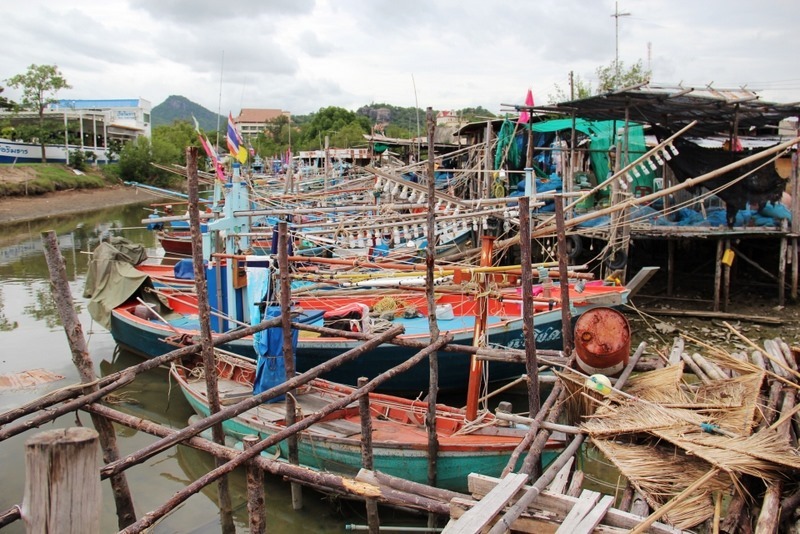 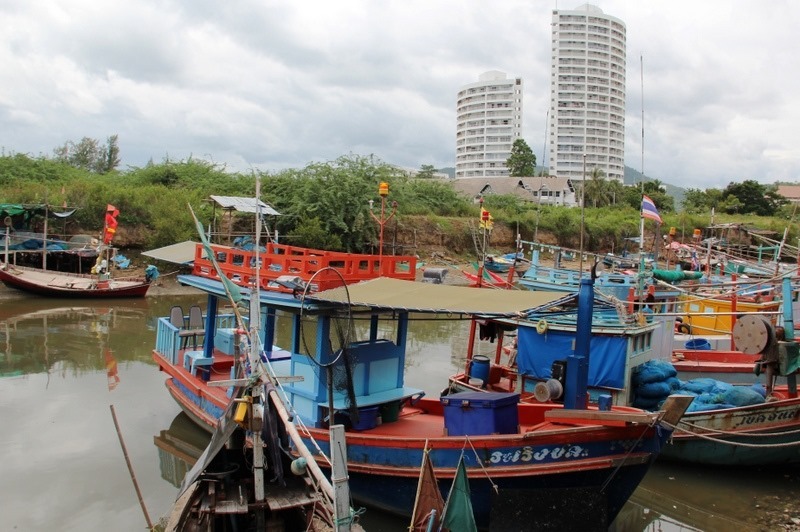 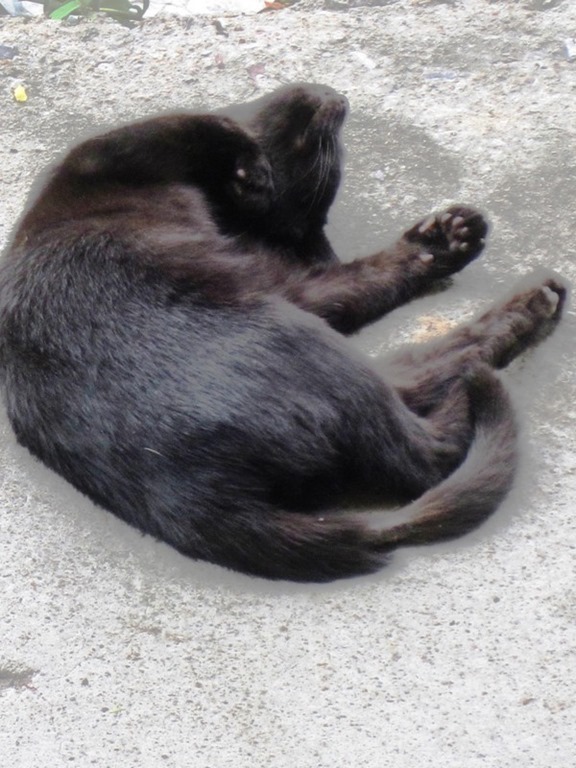 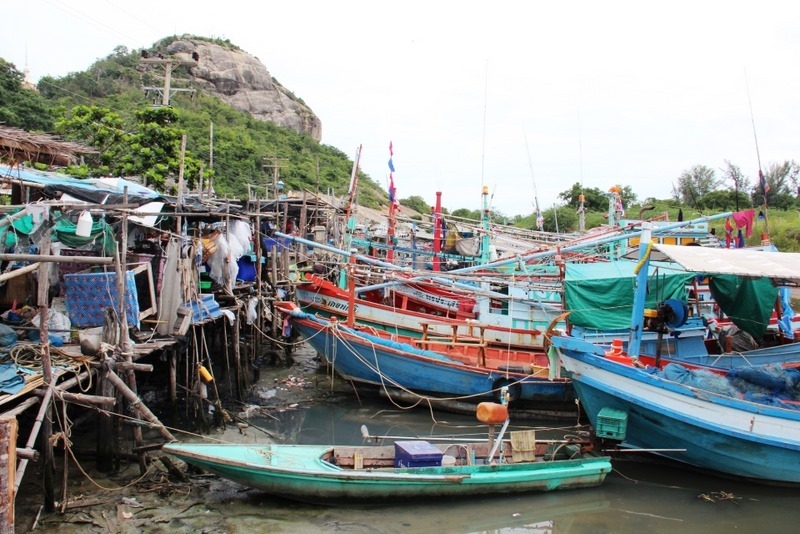 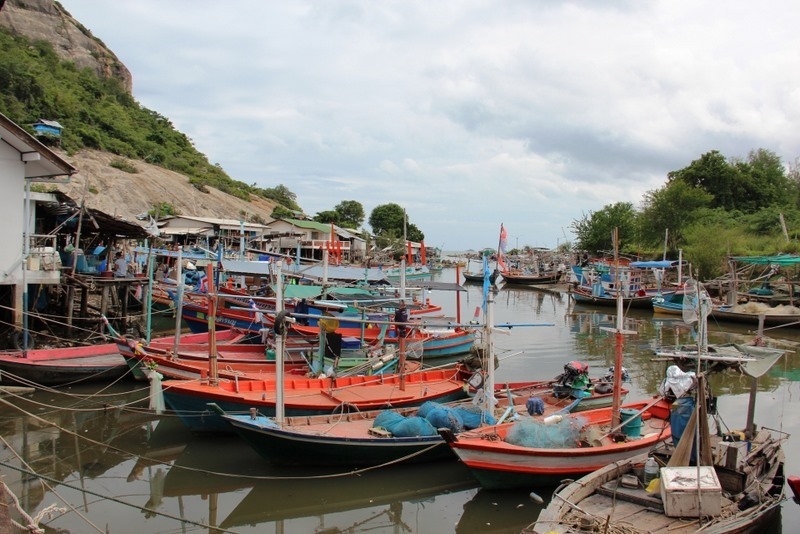 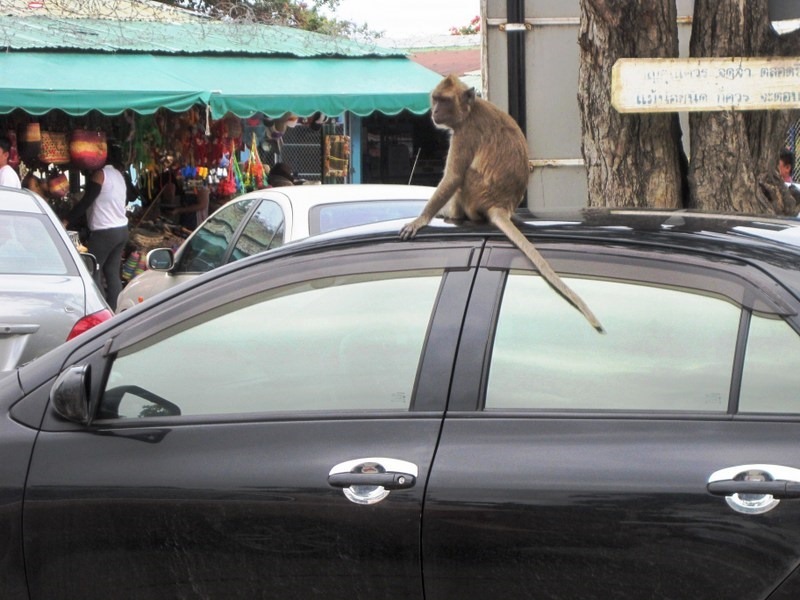 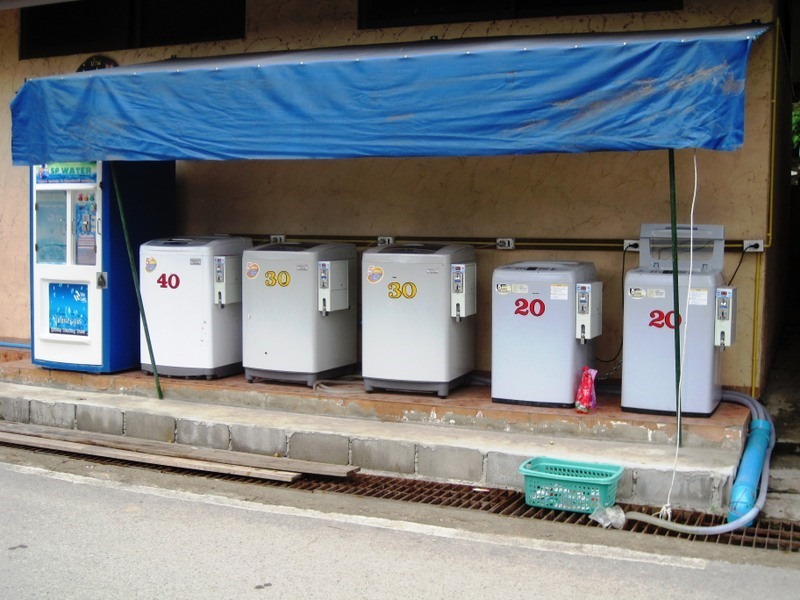 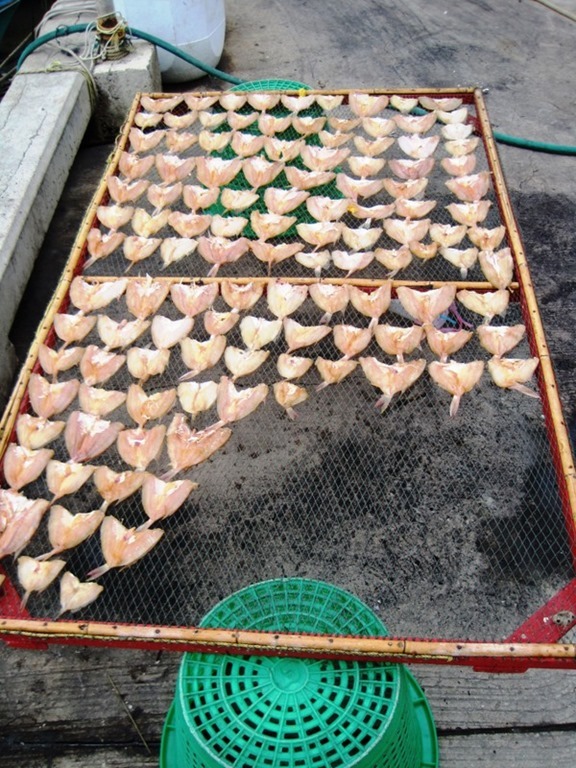 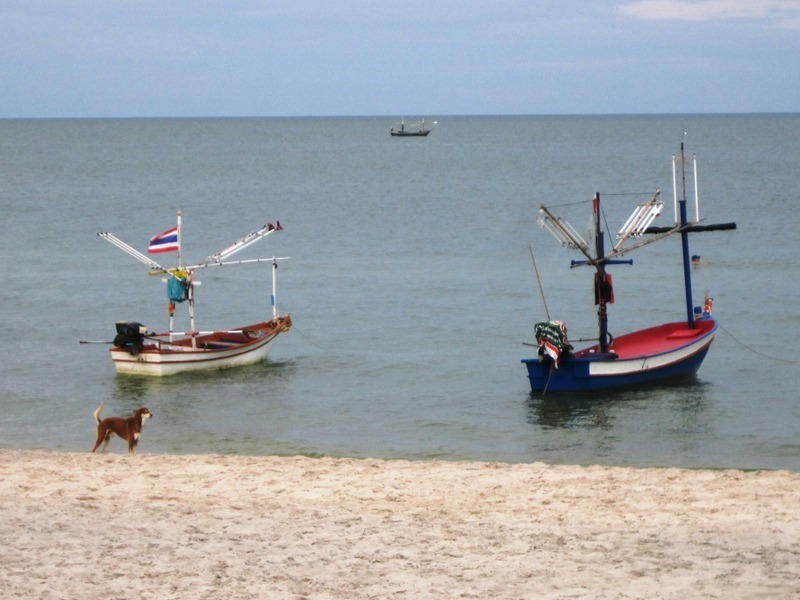 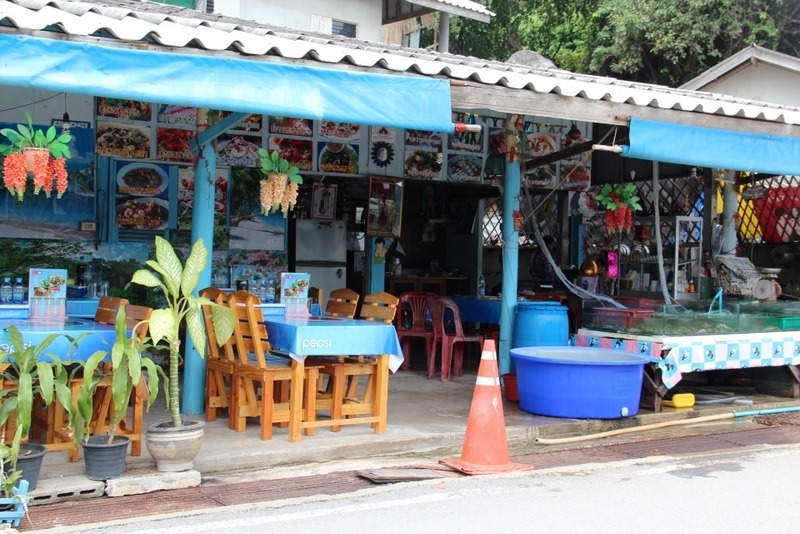 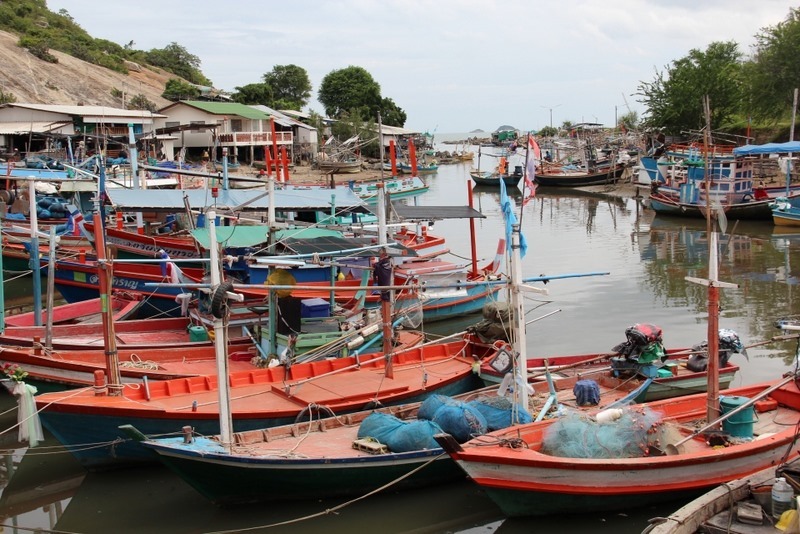 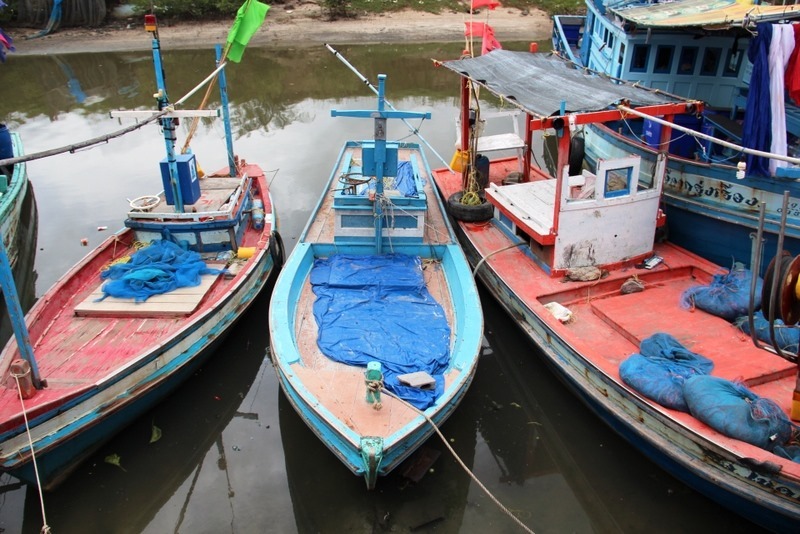 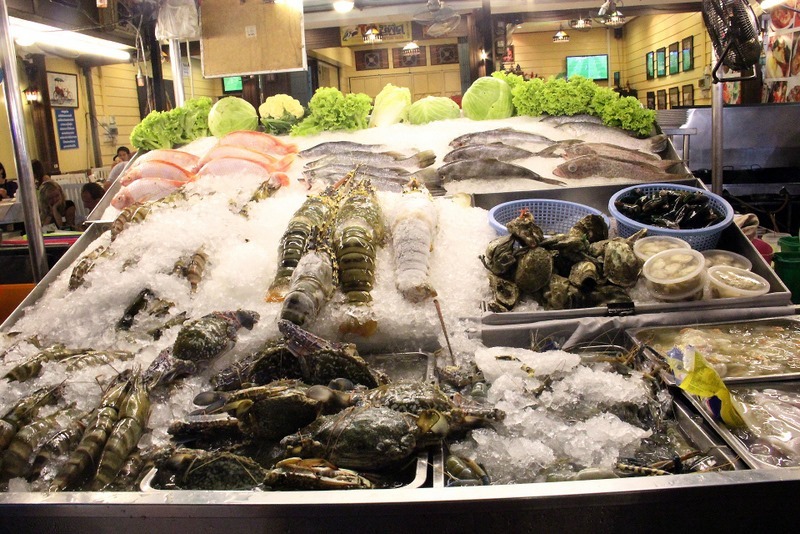 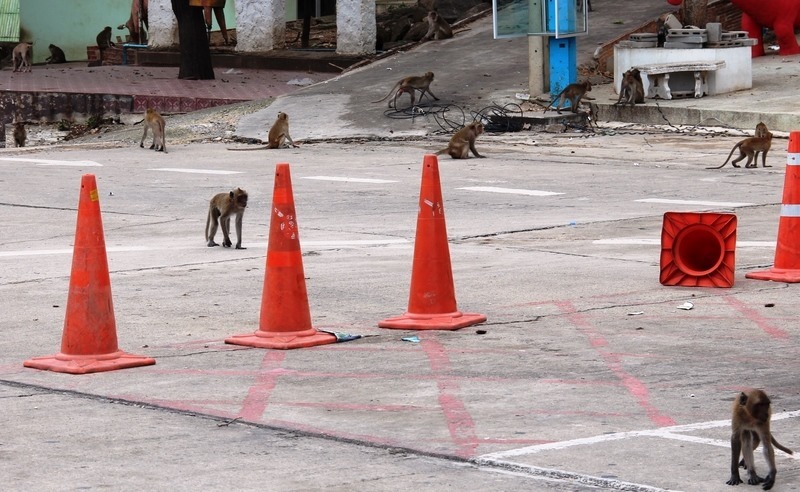 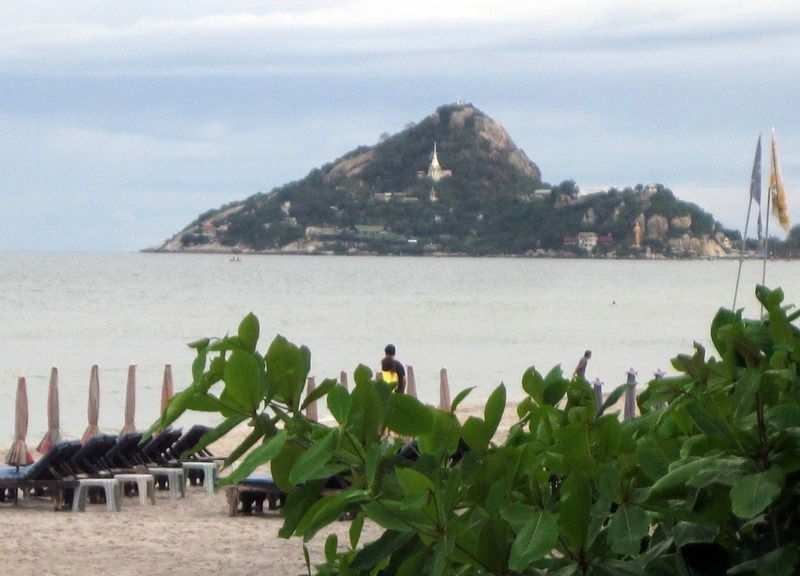 This is the first article in a six-part series about Hua Hin, Thailand, a coastal city near Bangkok on the Gulf of Thailand. 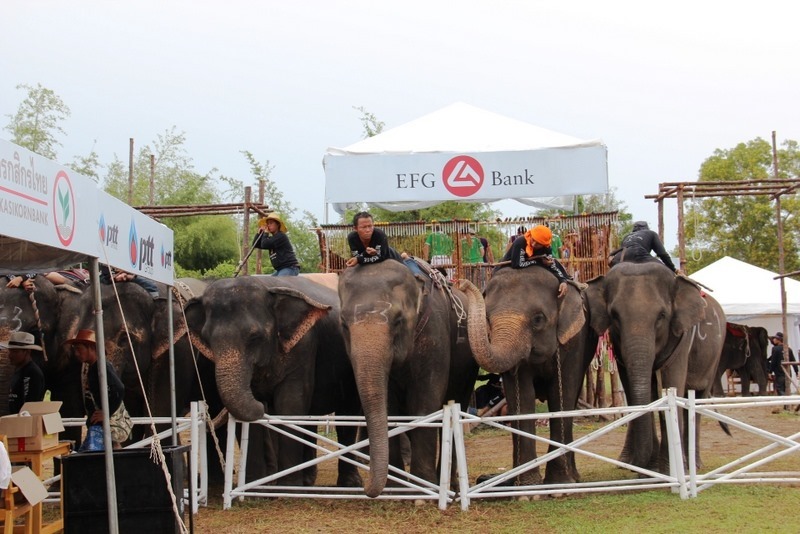 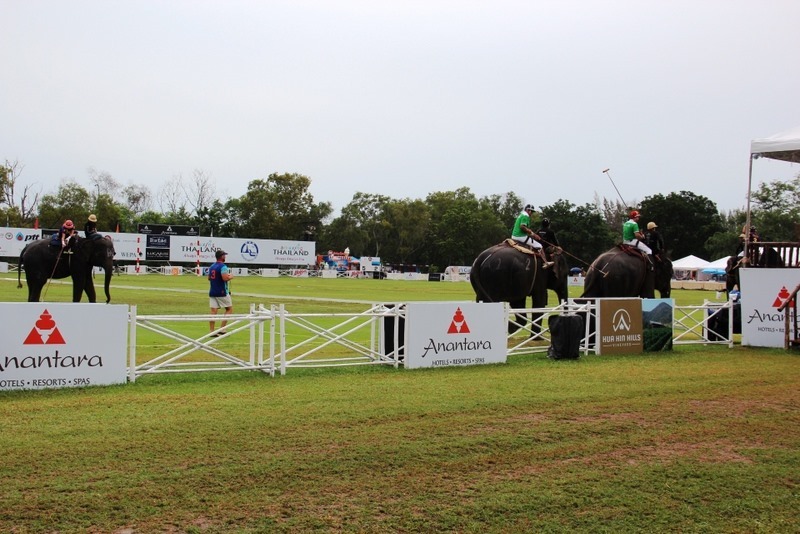 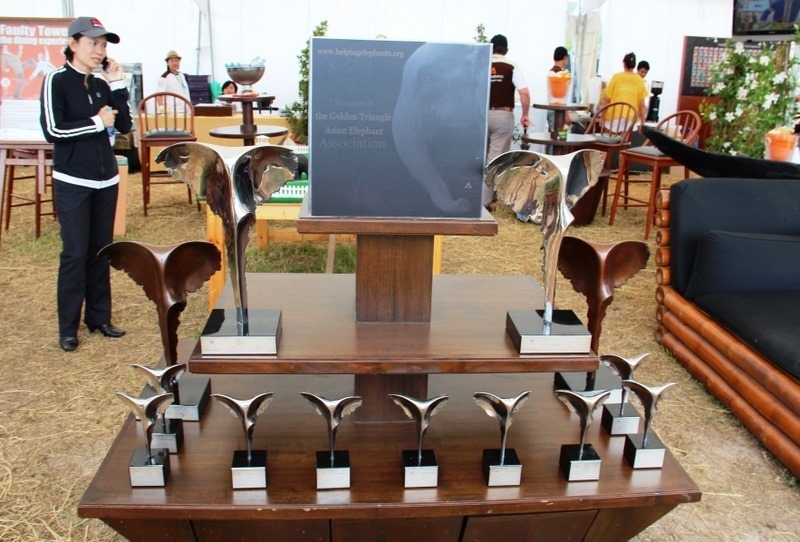 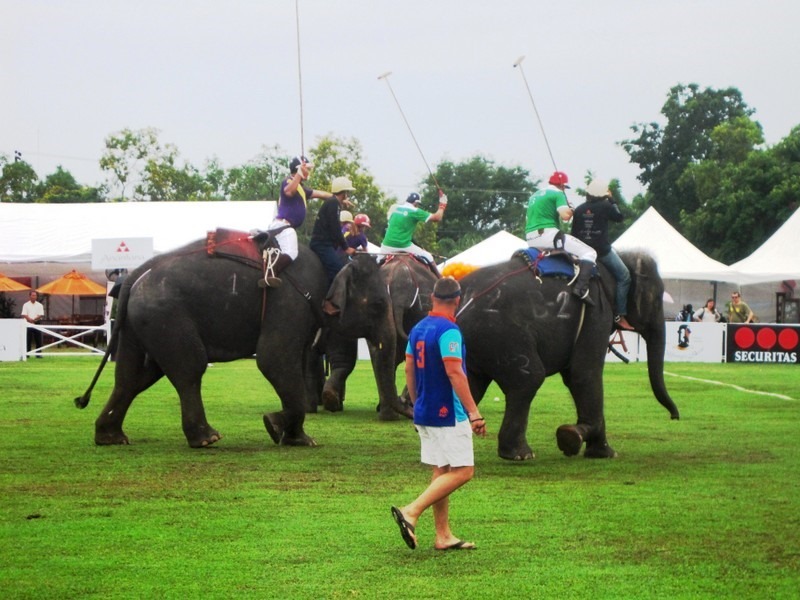 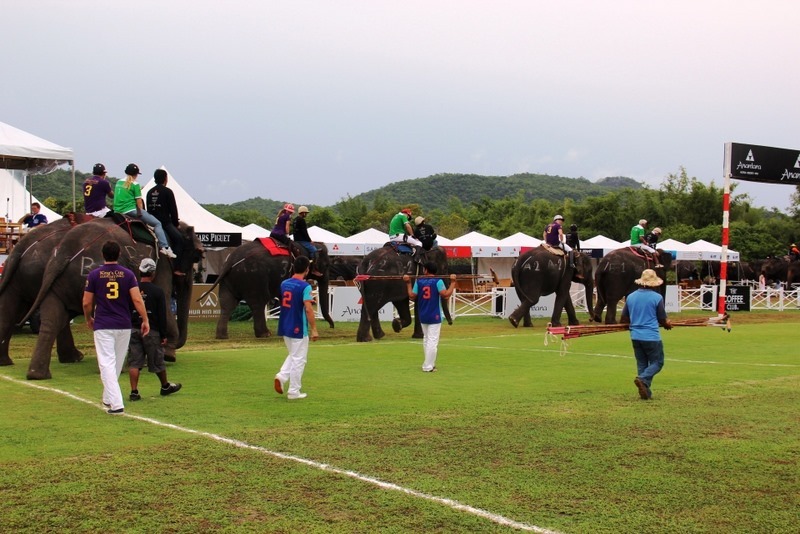 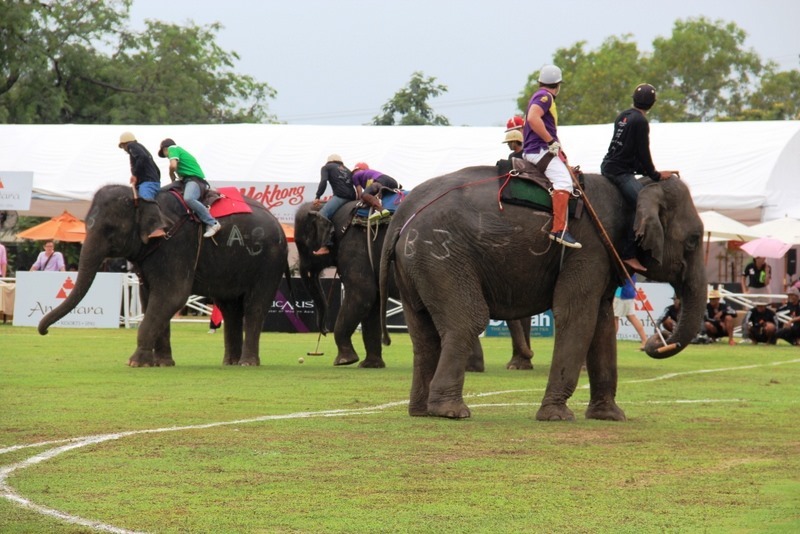 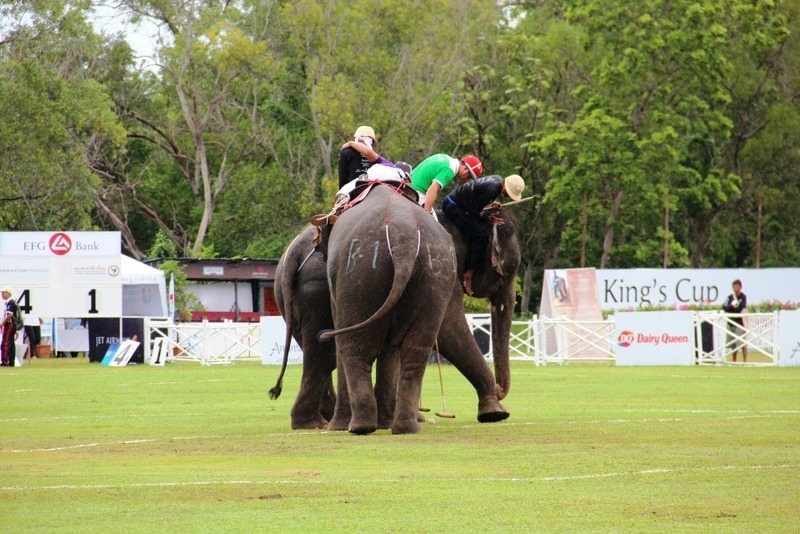 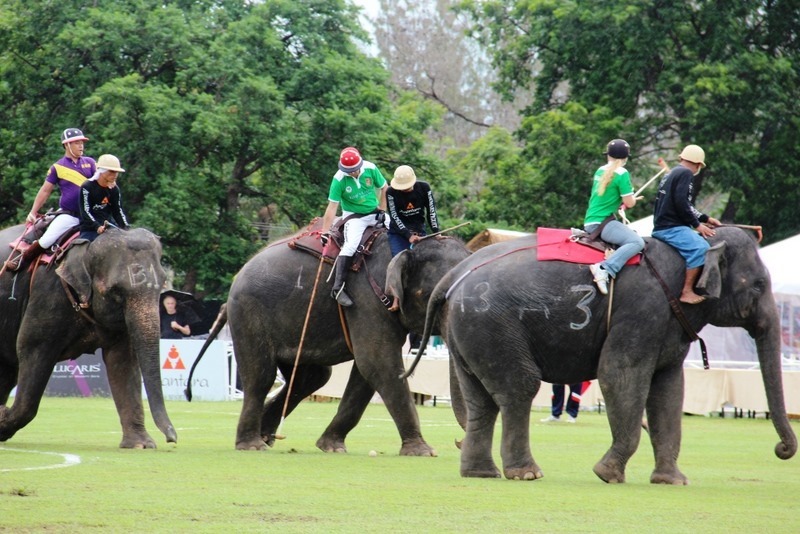 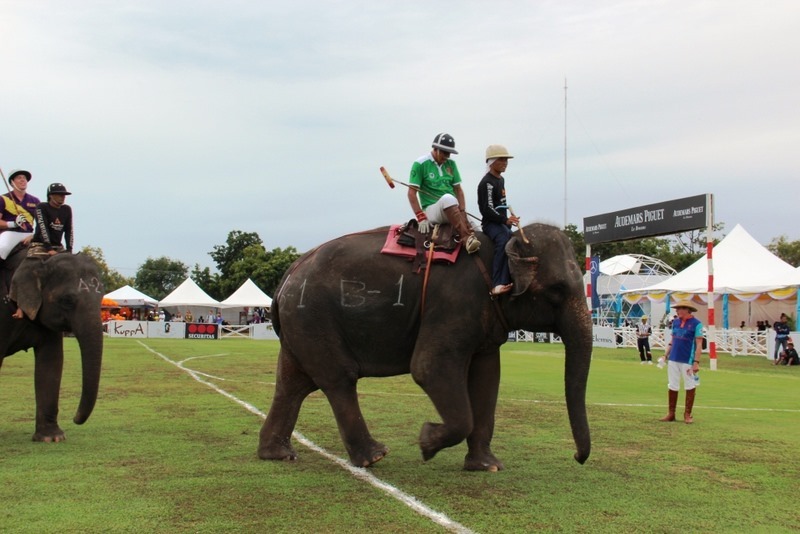 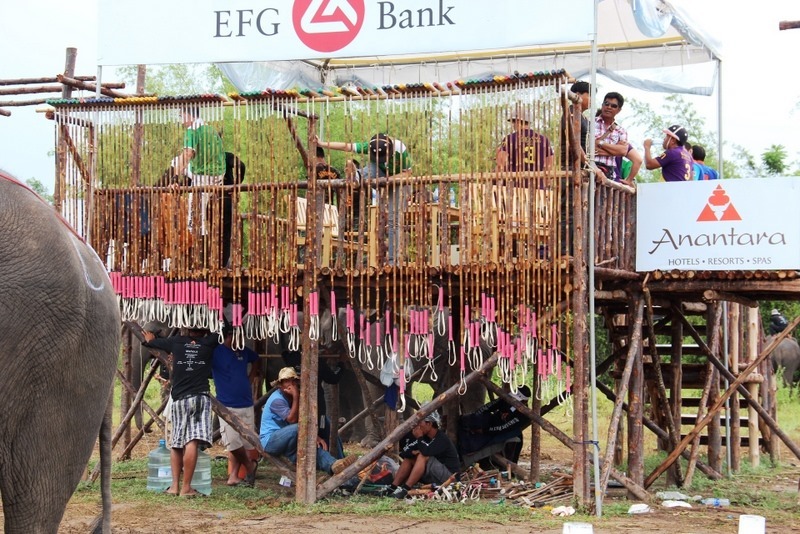 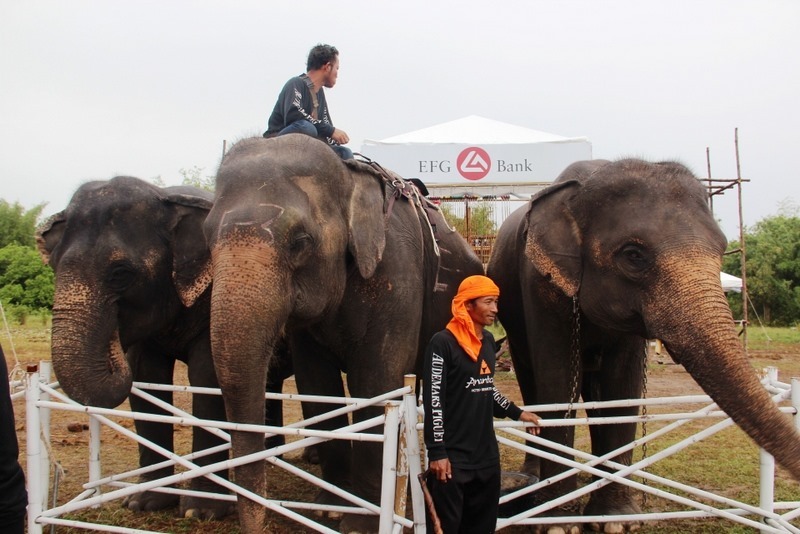 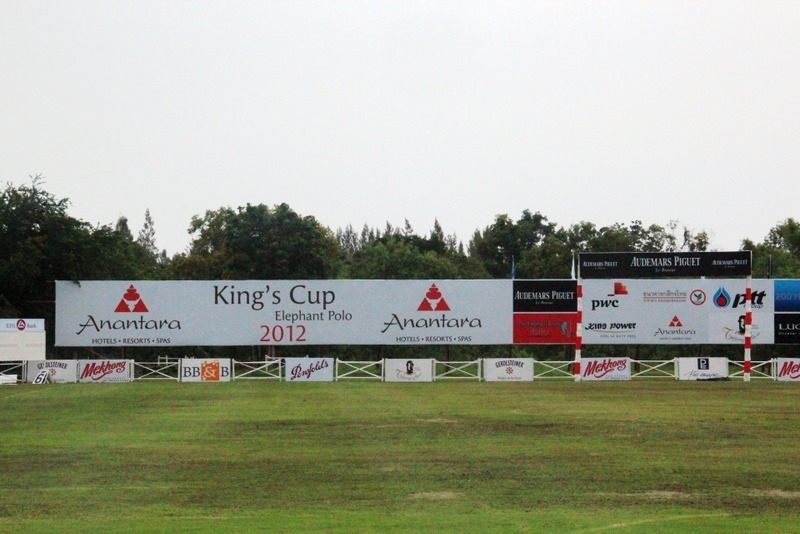 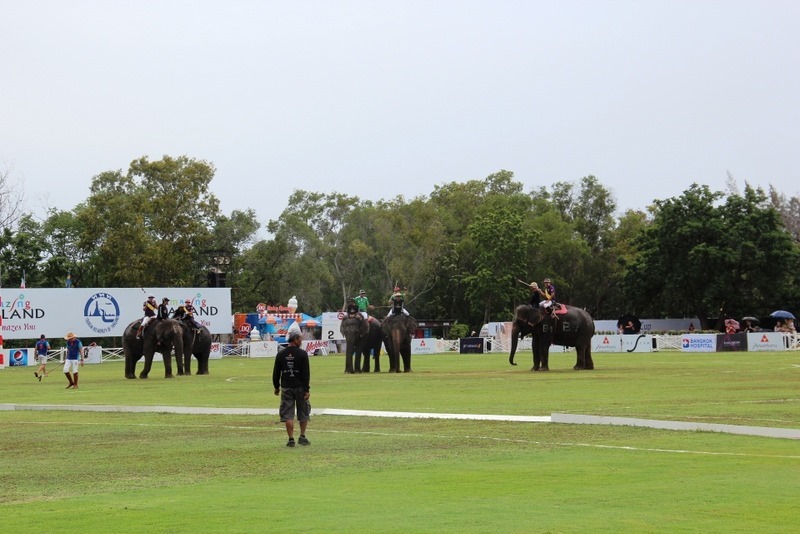 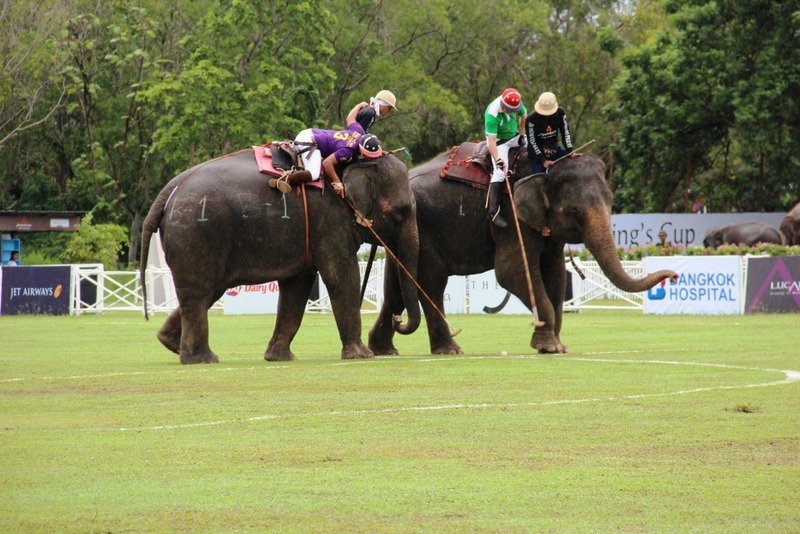 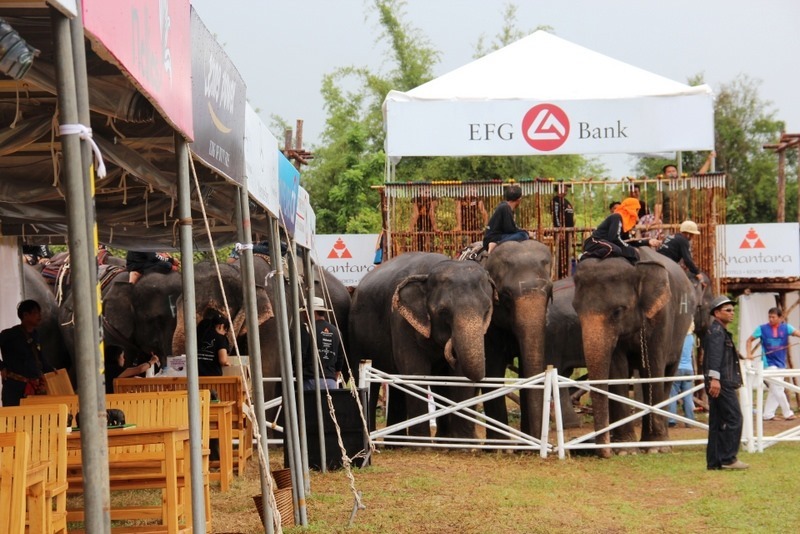 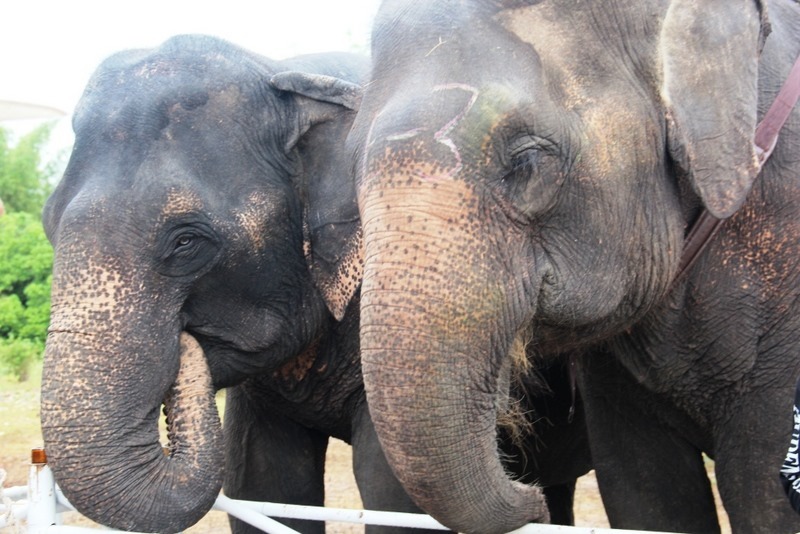 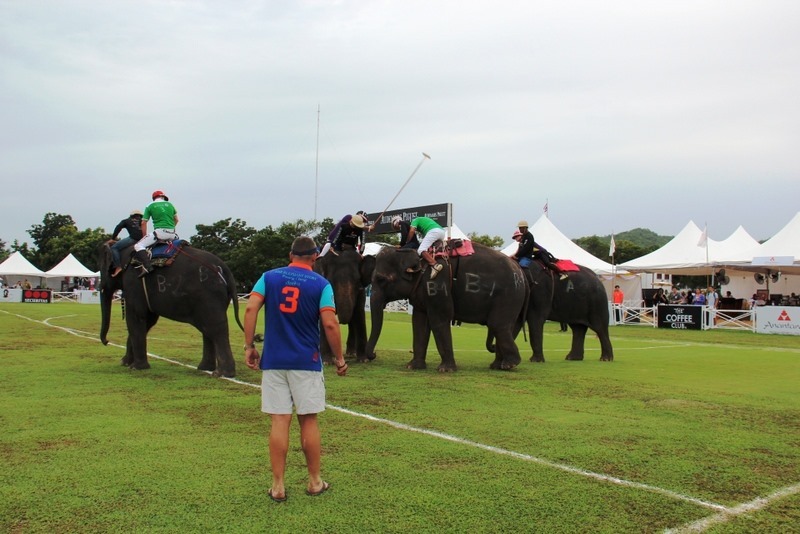 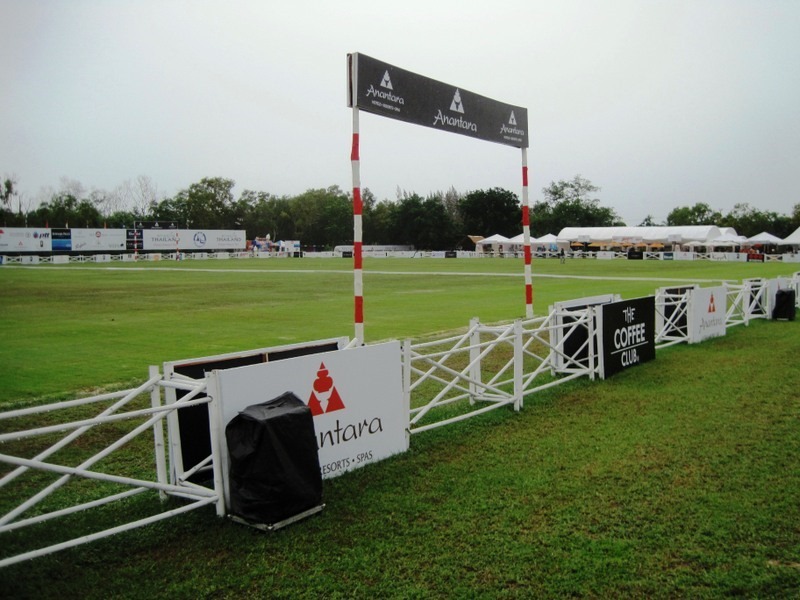 Hua Hin hosts the annual King’s Cup Elephant Polo Tournament, a fun and unique sporting event. 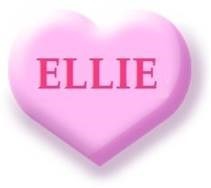 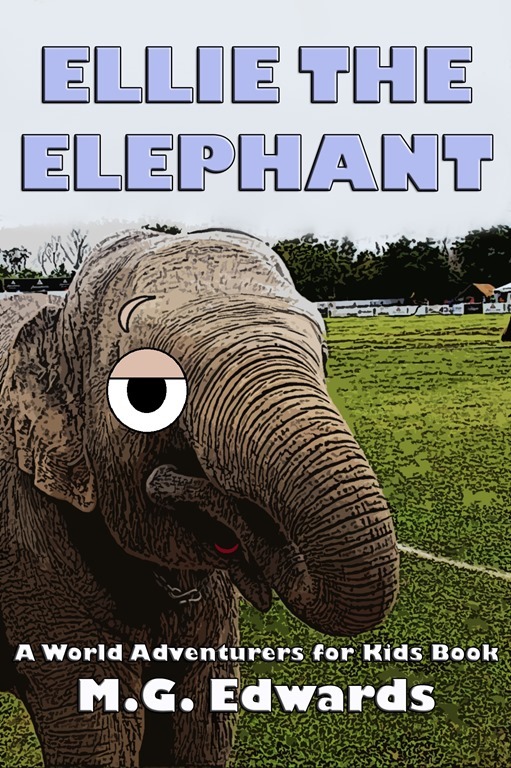 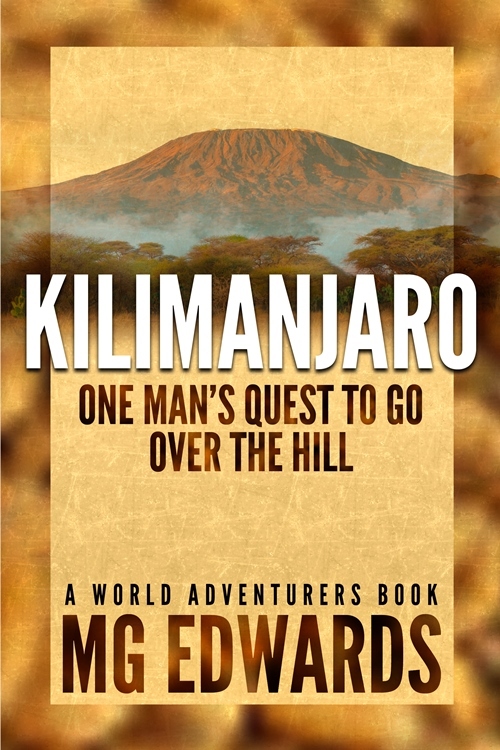 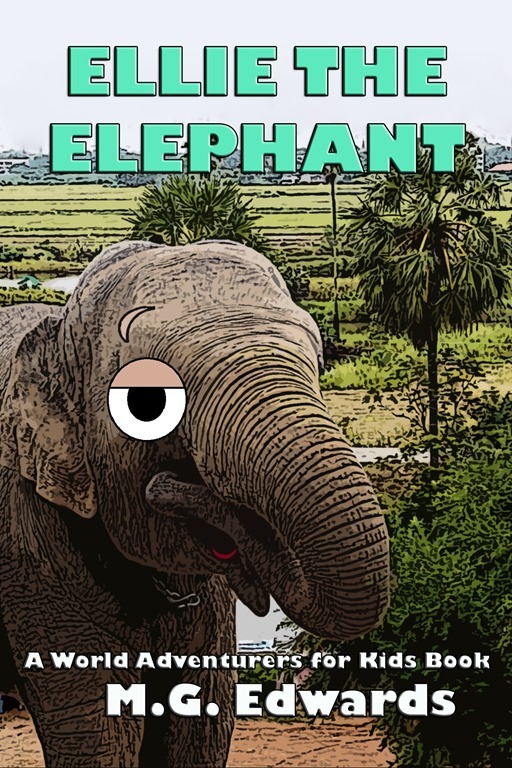 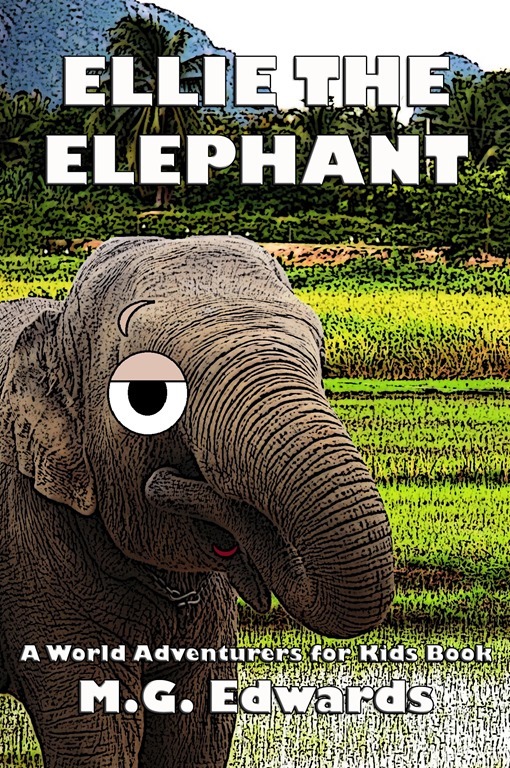 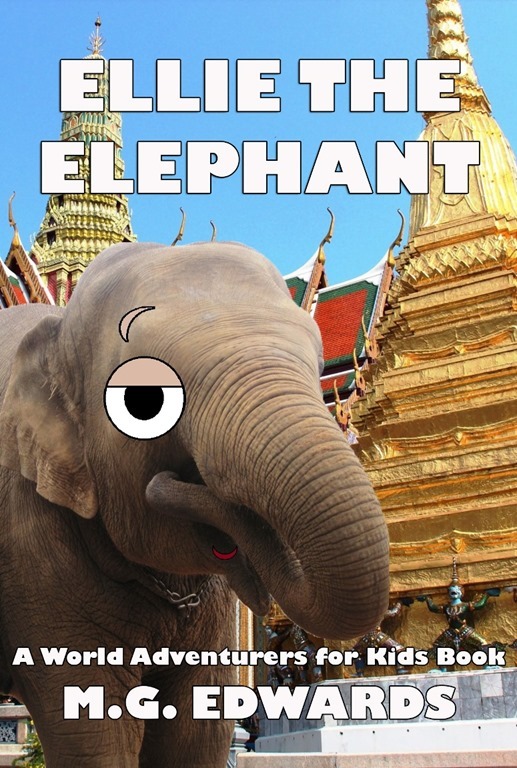 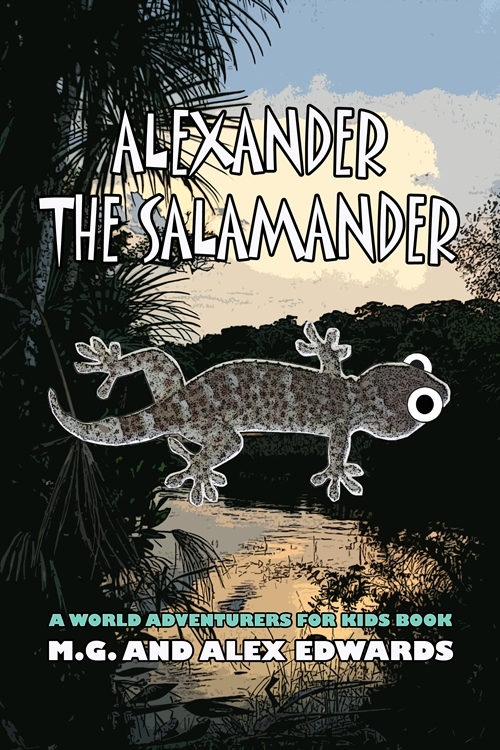 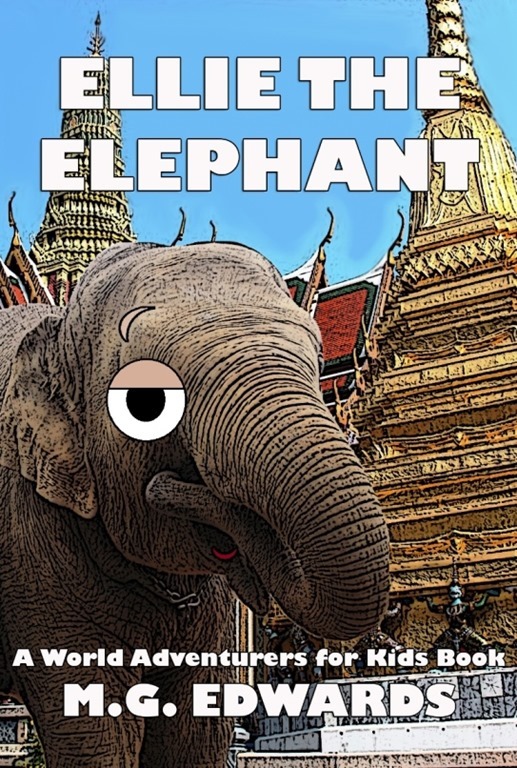 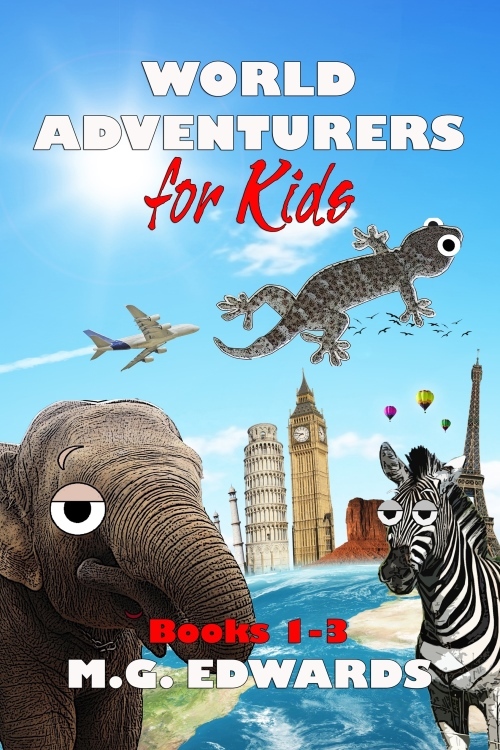 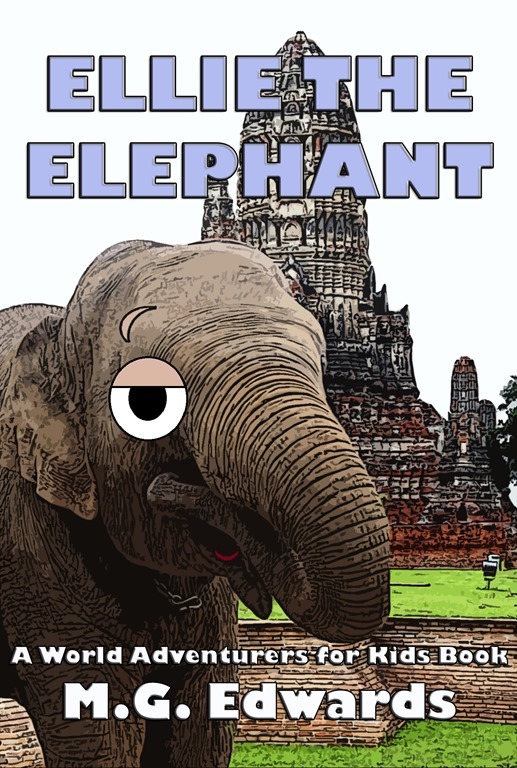 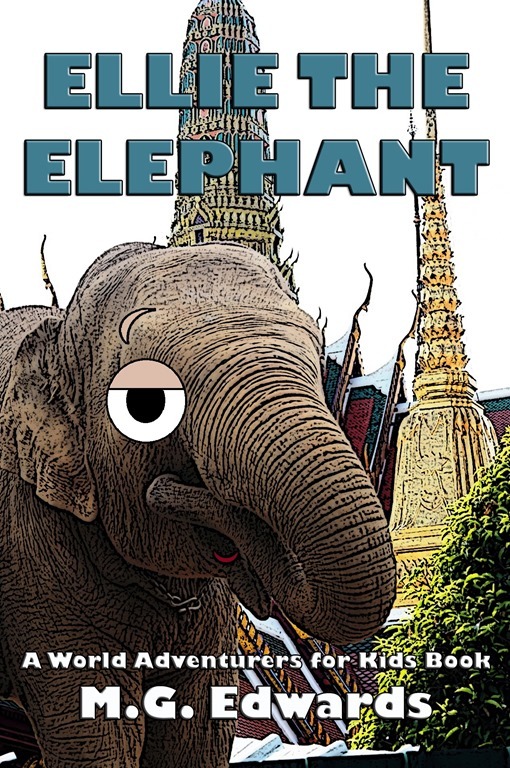 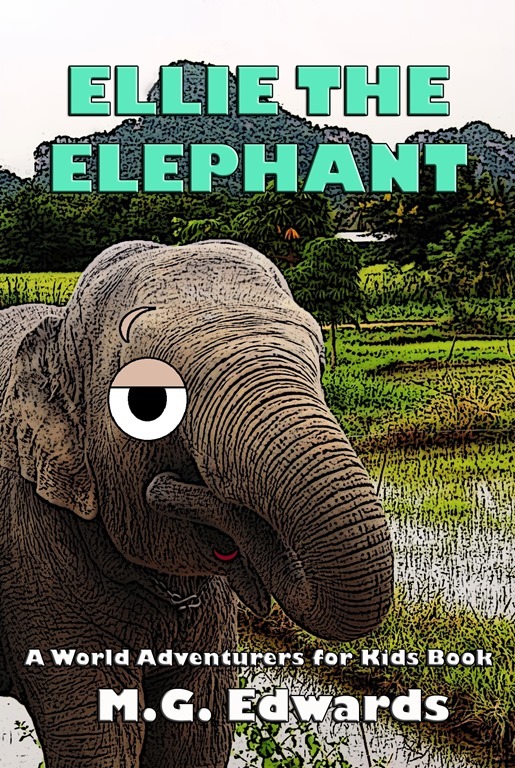 The 2012 tournament inspired me to write the children’s picture book Ellie the Elephant about an elephant that dreams of playing in the tournament. 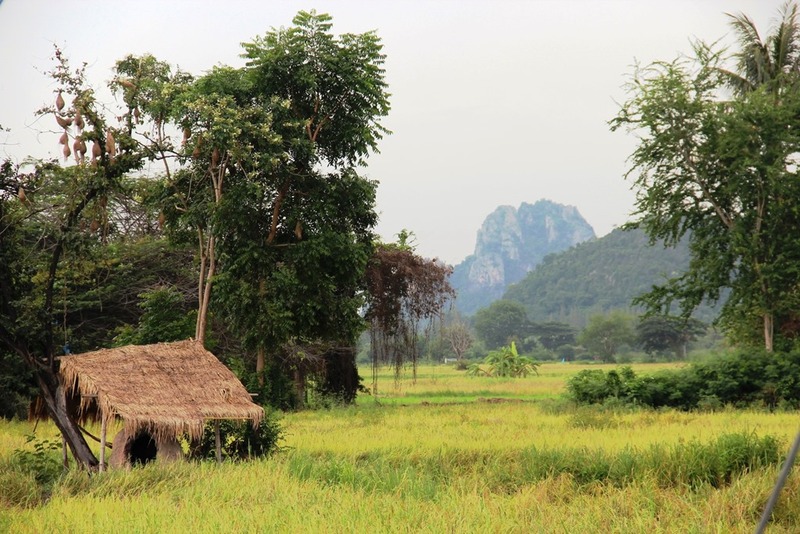 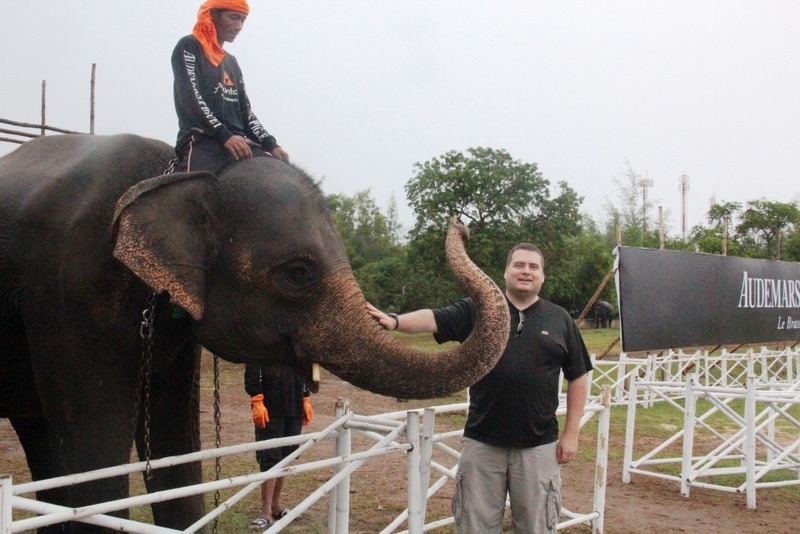 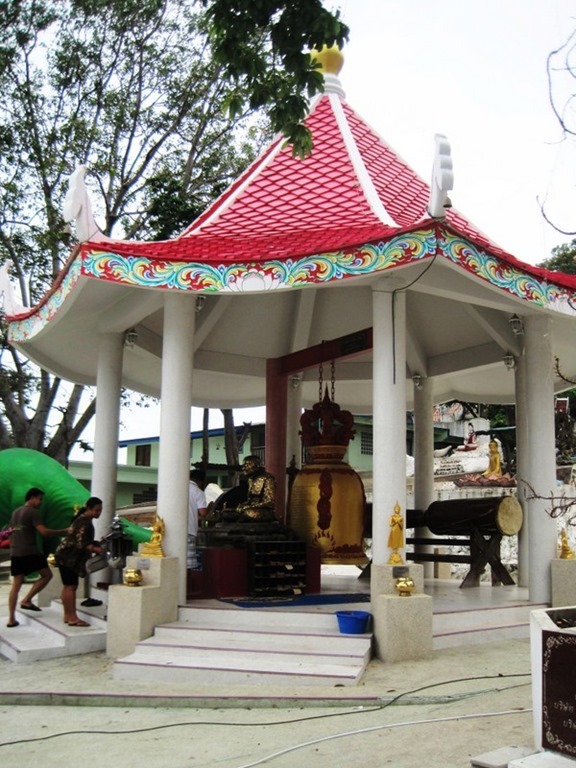 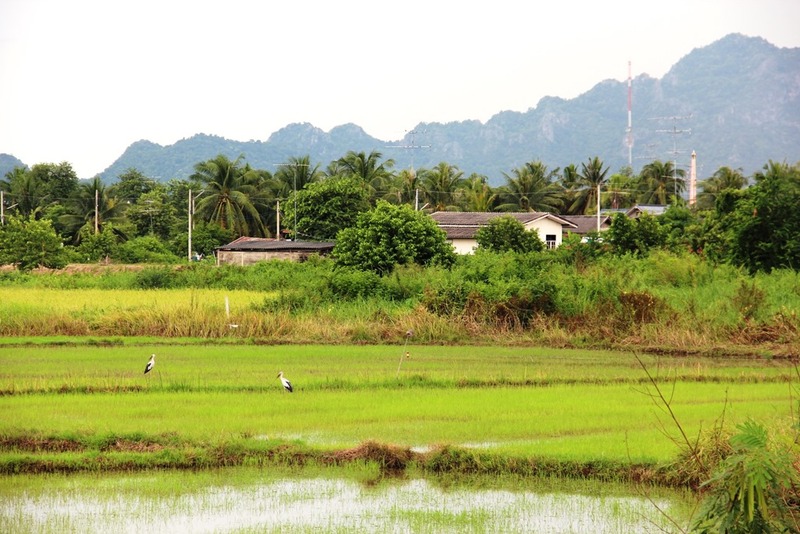 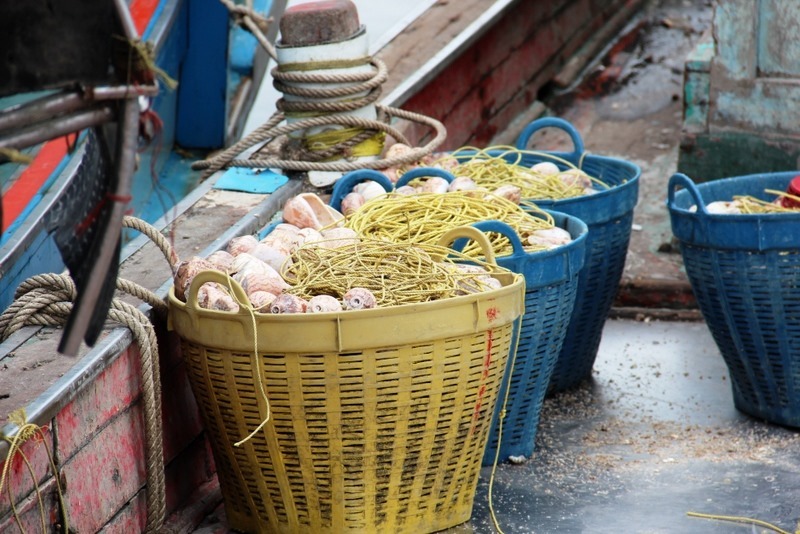 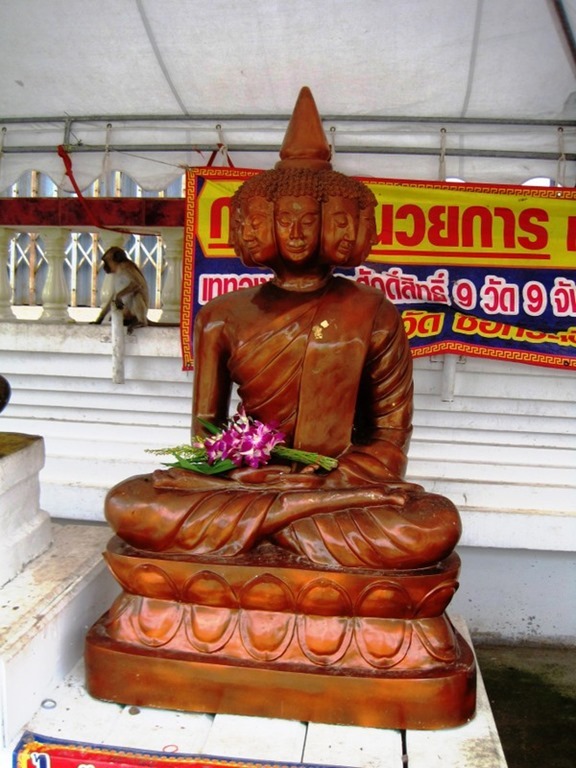 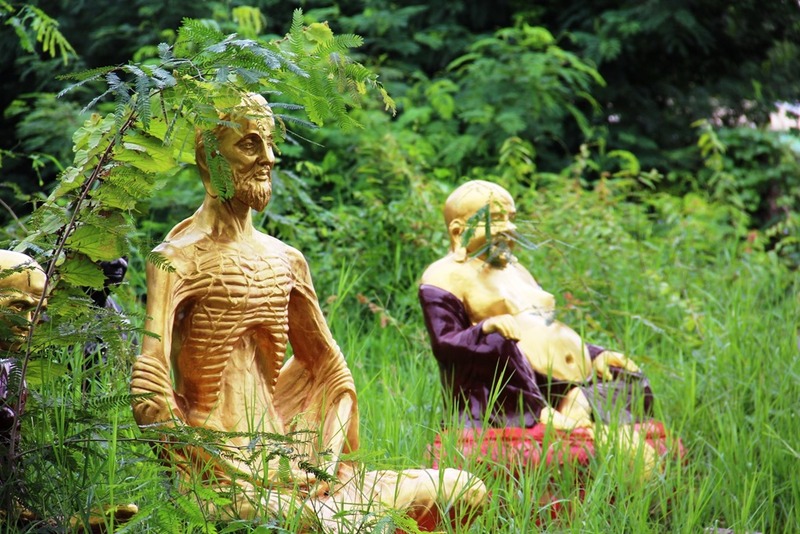 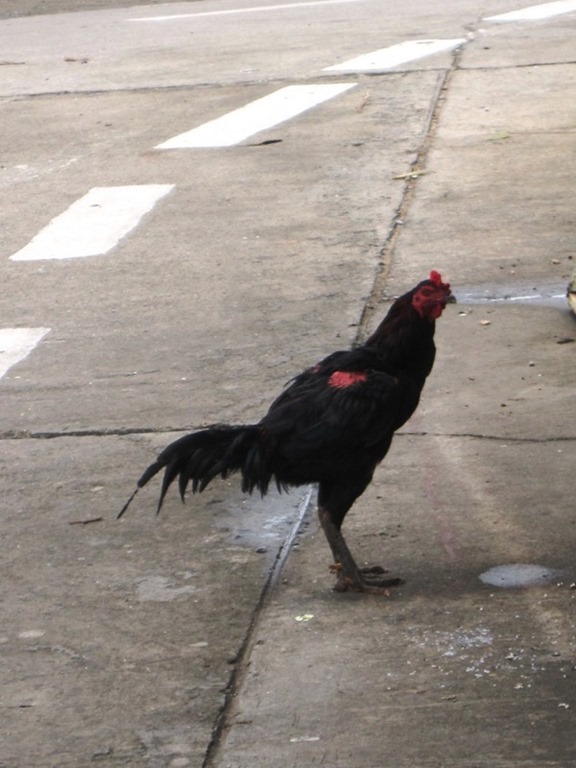 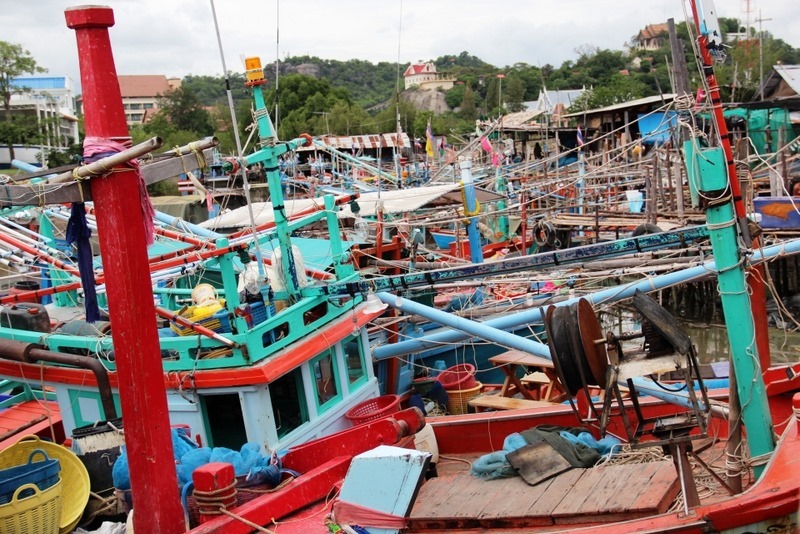 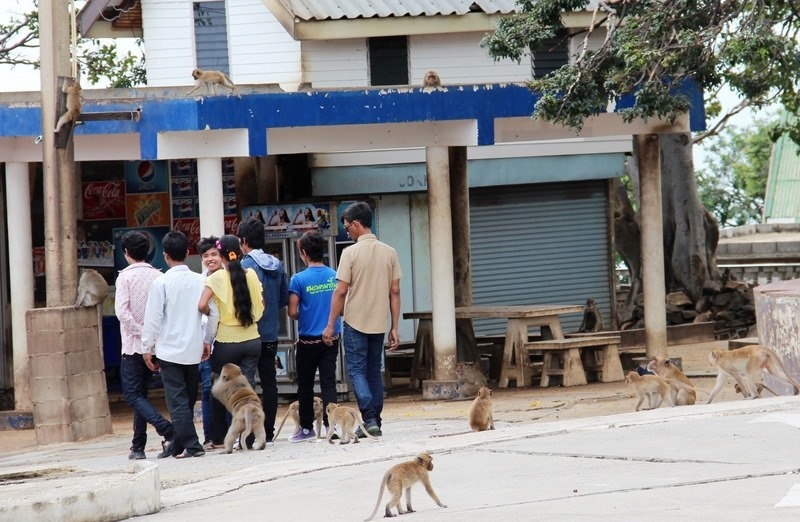 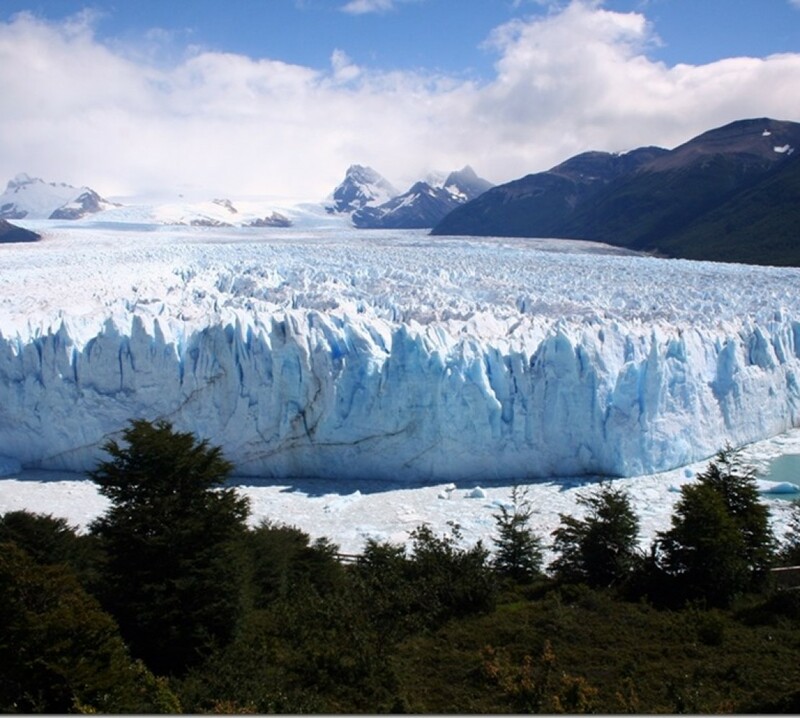 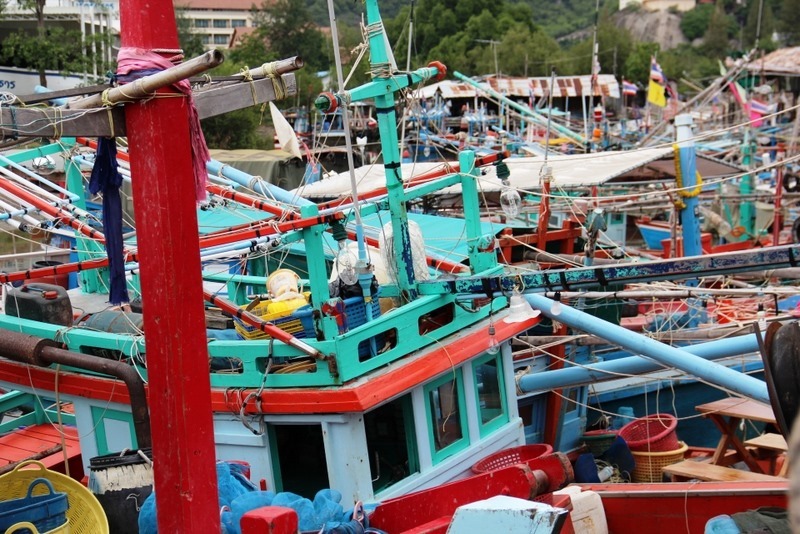 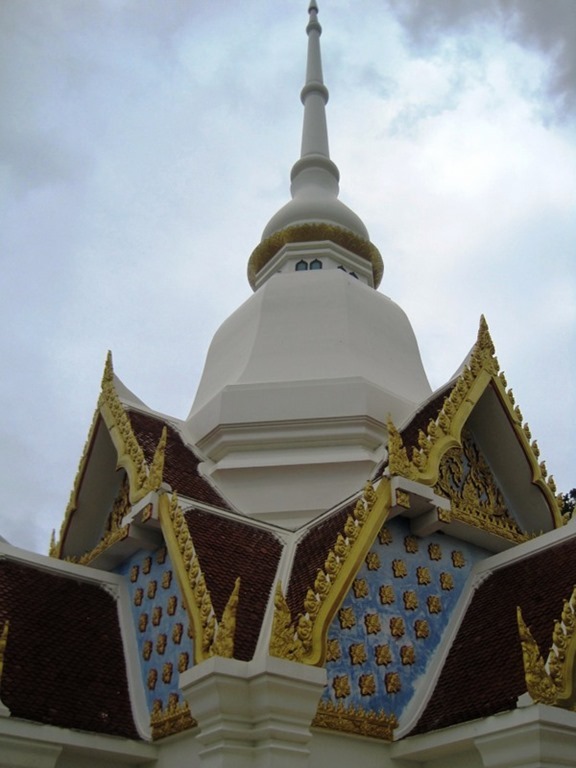 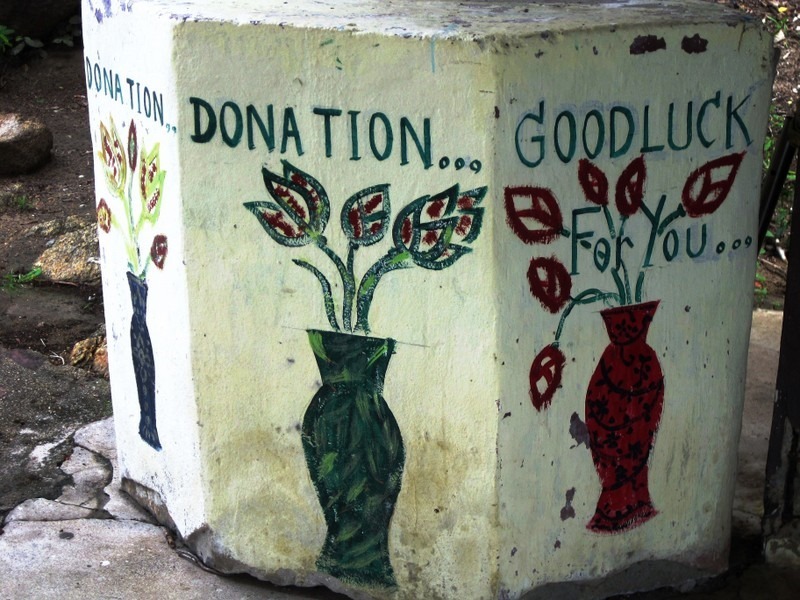 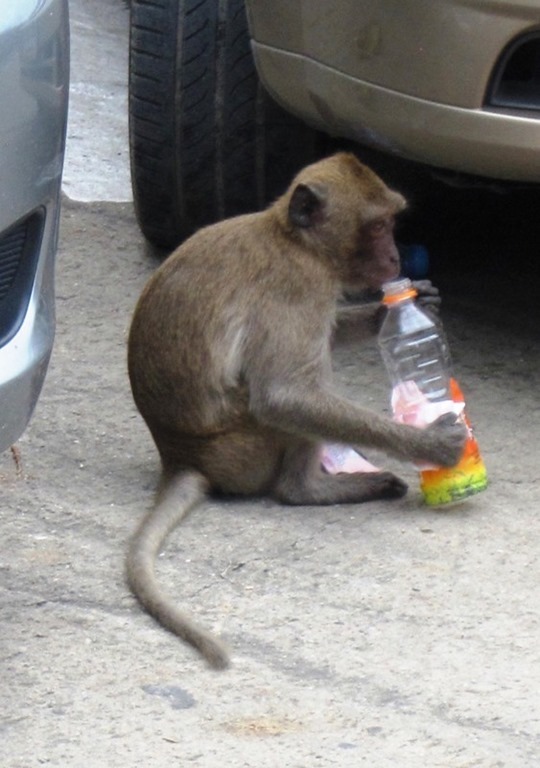 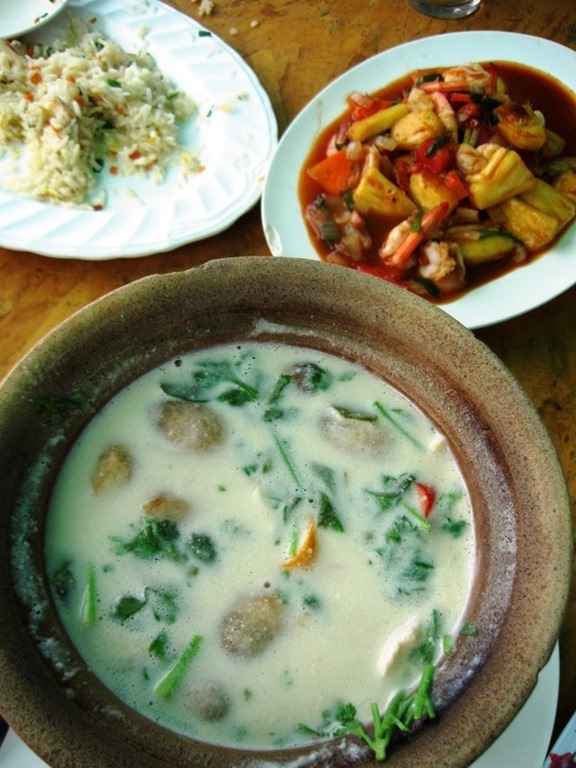 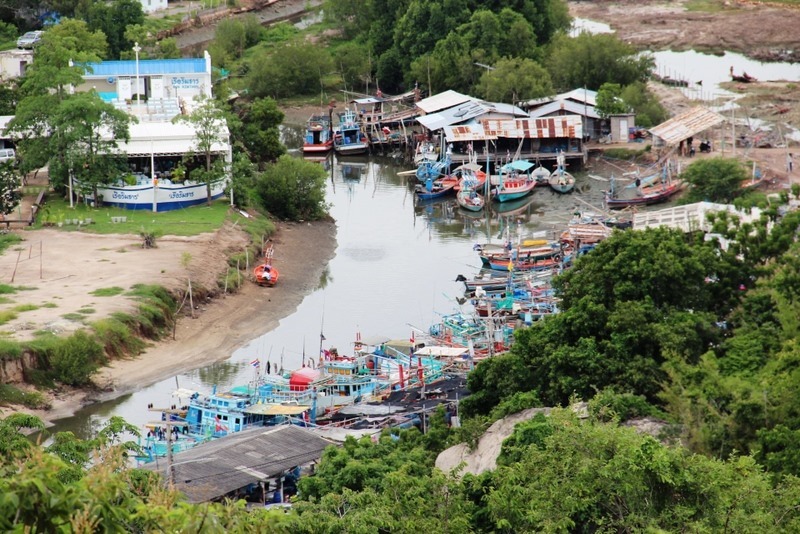 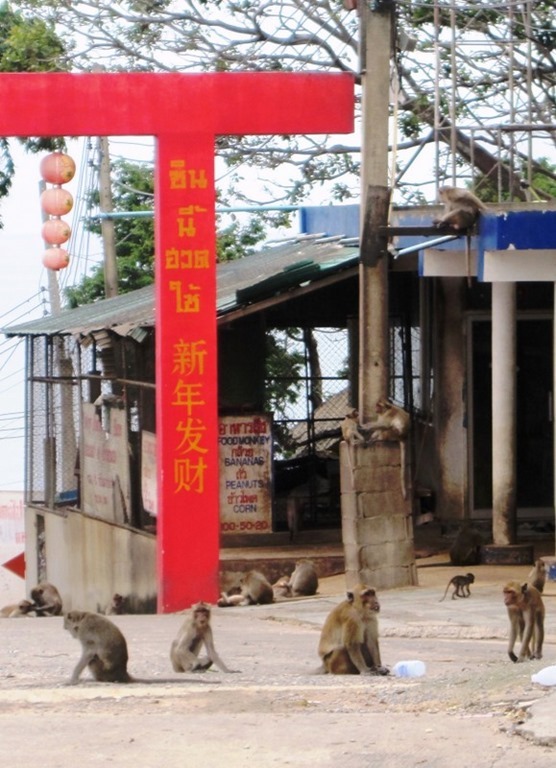 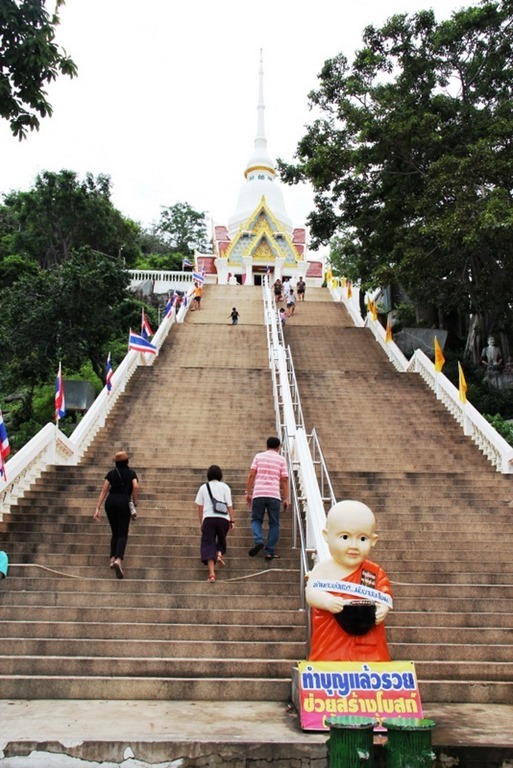 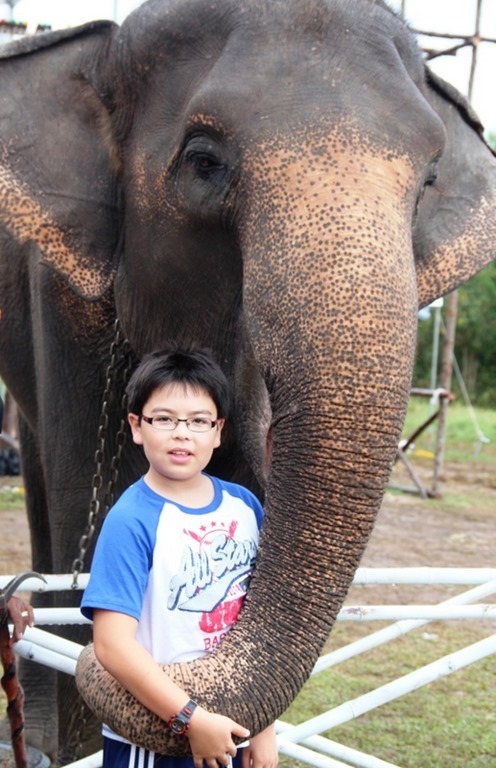 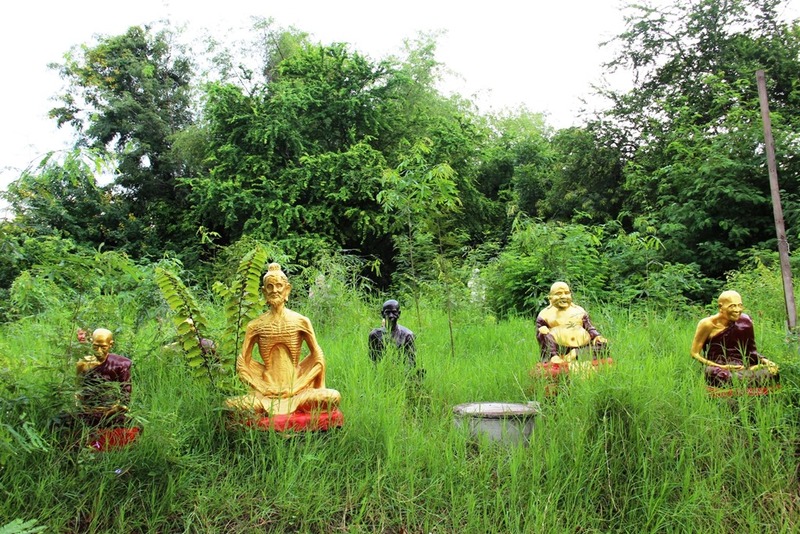 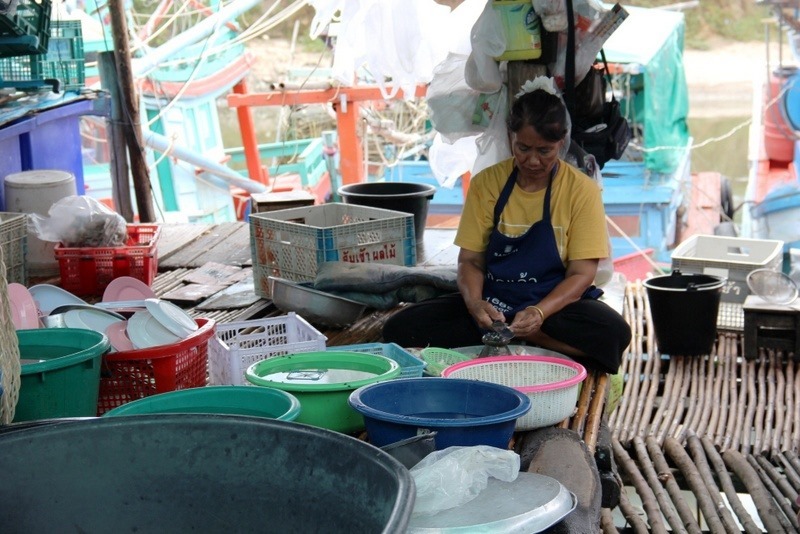 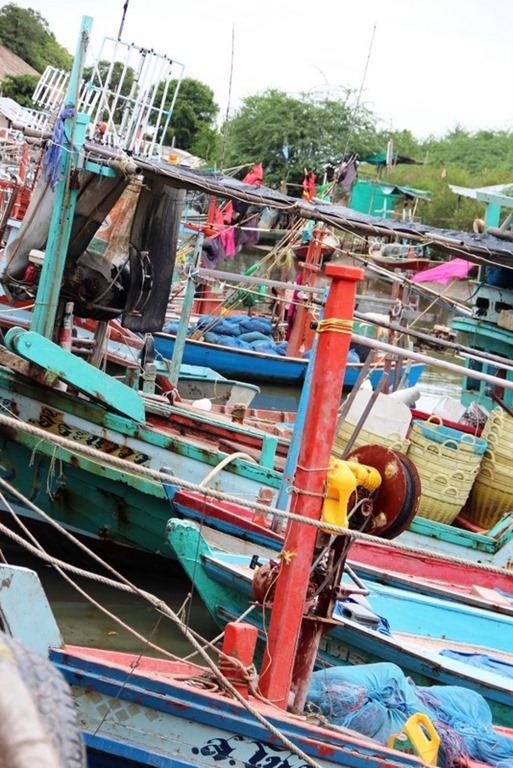 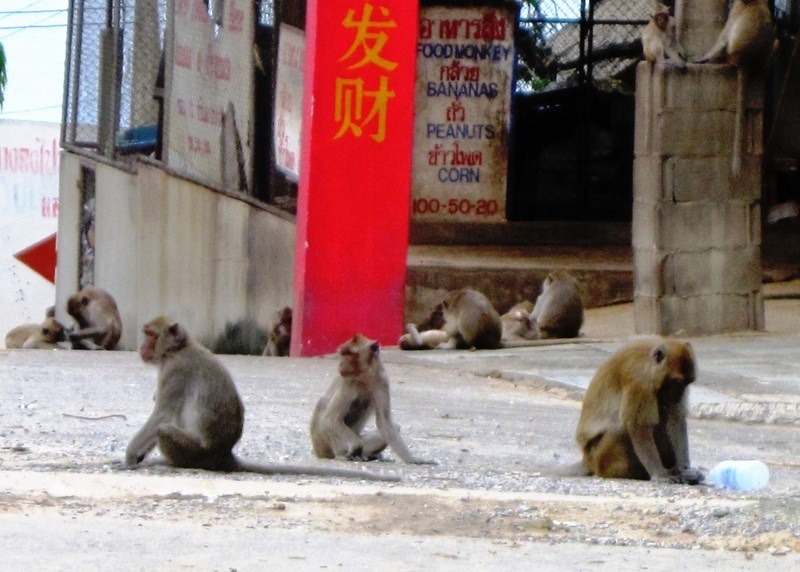 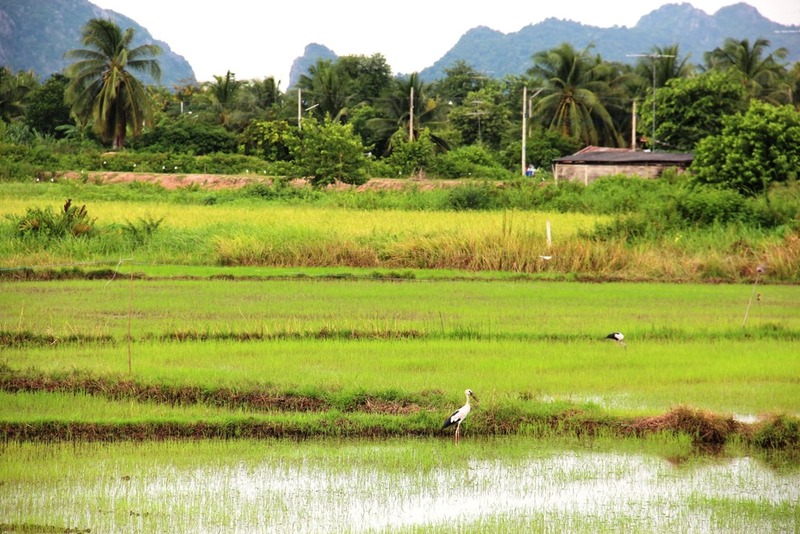 Enjoy these travelogues about this diverse area of Thailand. 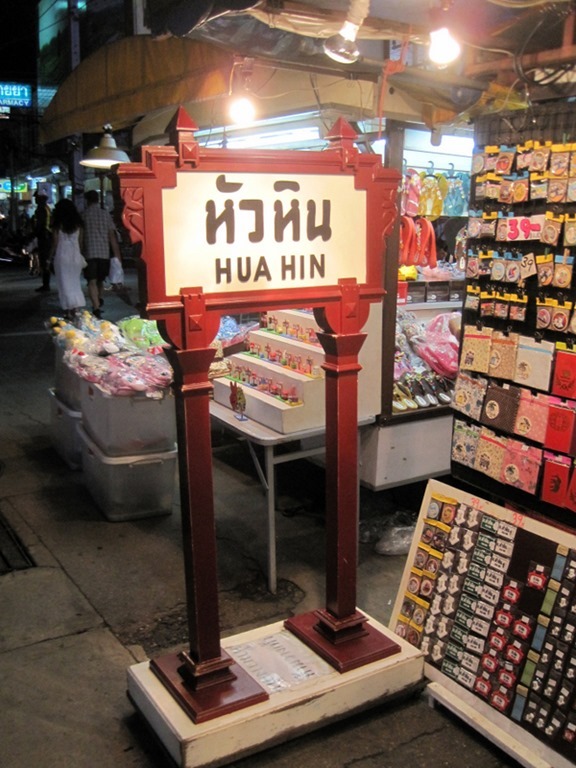 Hua Hin is a town in Prachuap Khiri Khan province on the northern edge of the Malay Peninsula that stretches from Thailand to Singapore. 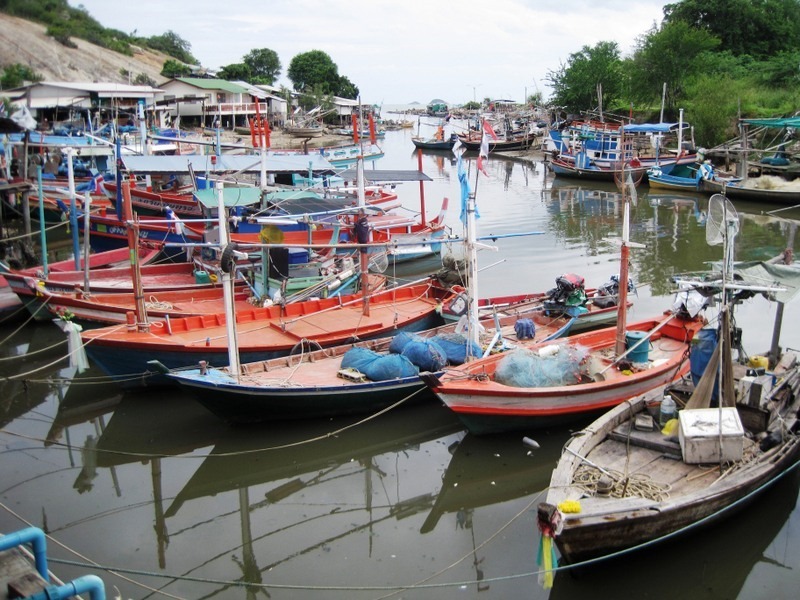 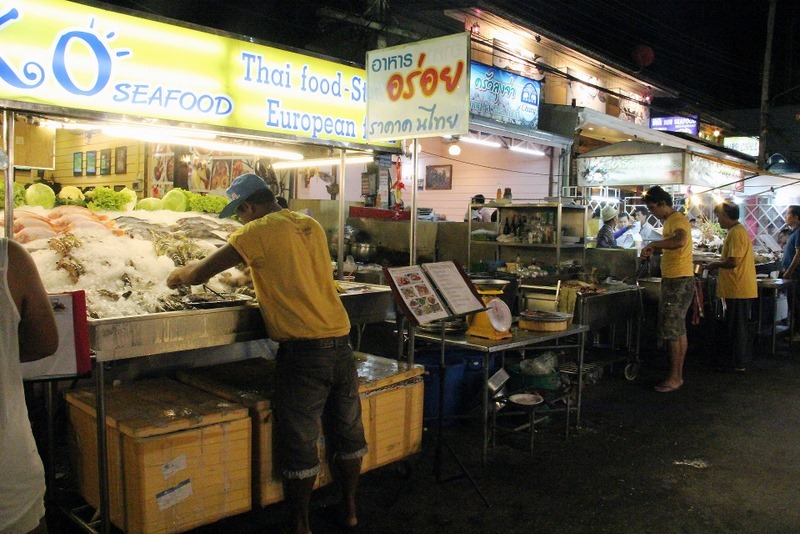 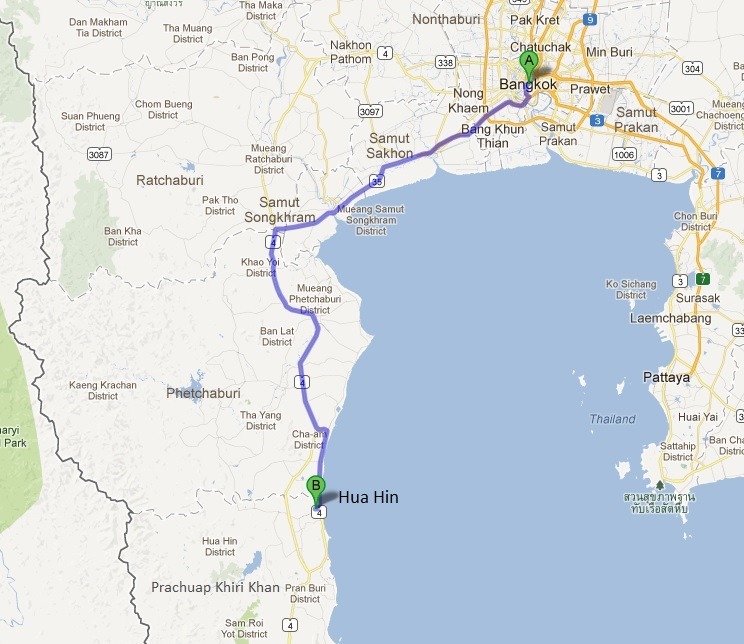 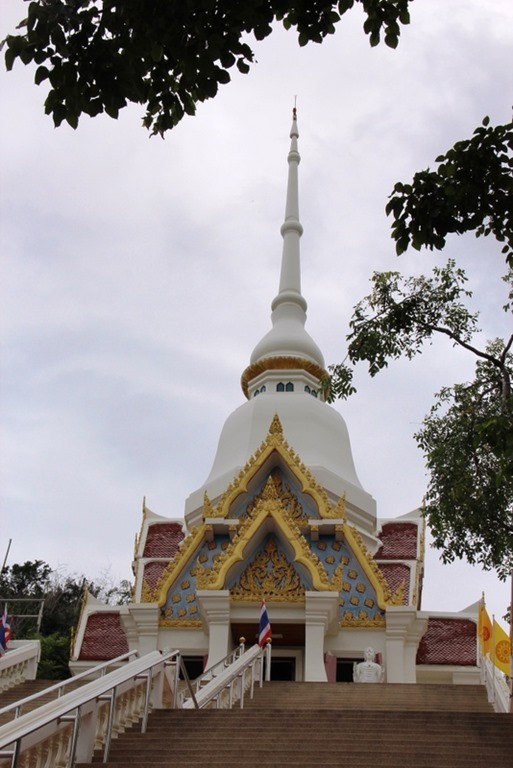 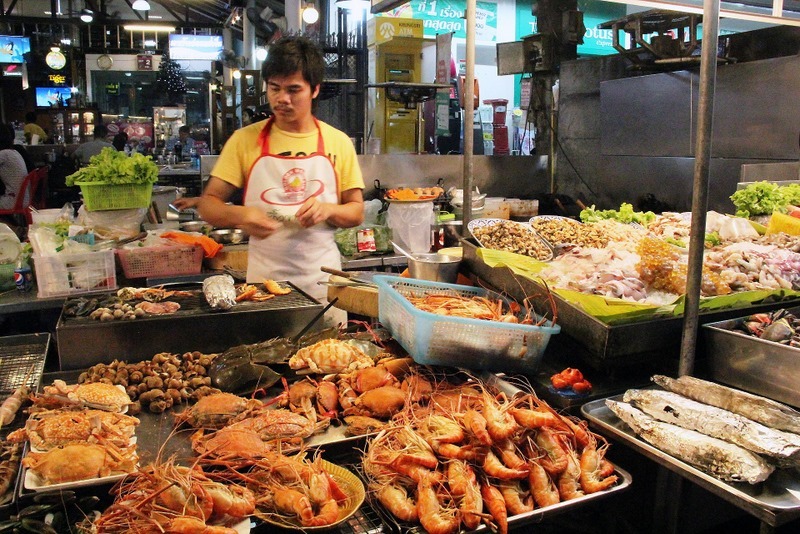 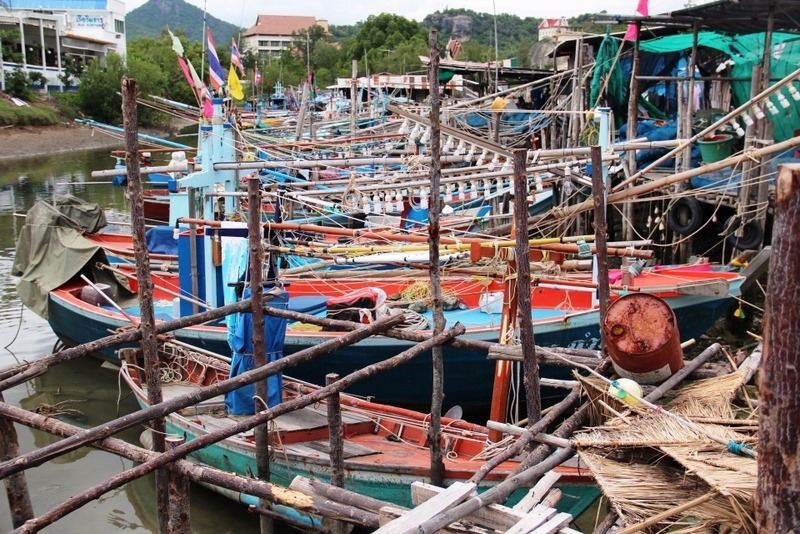 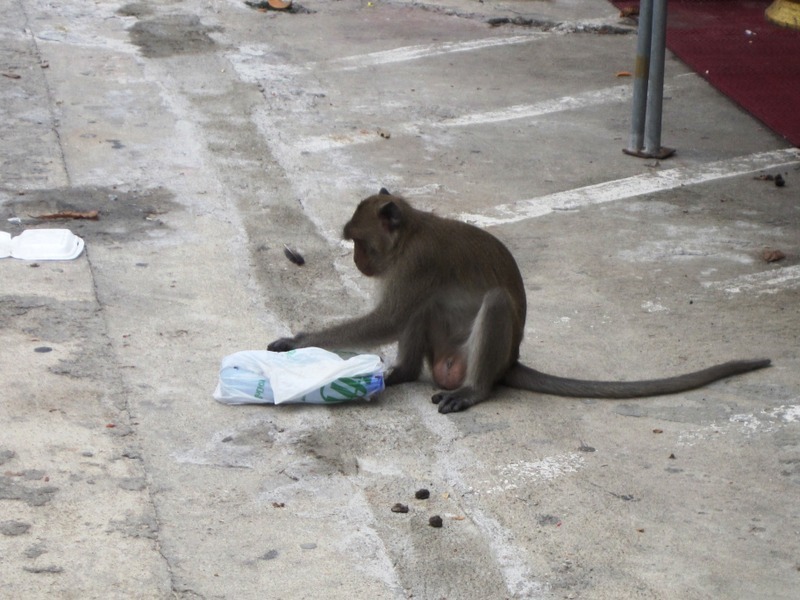 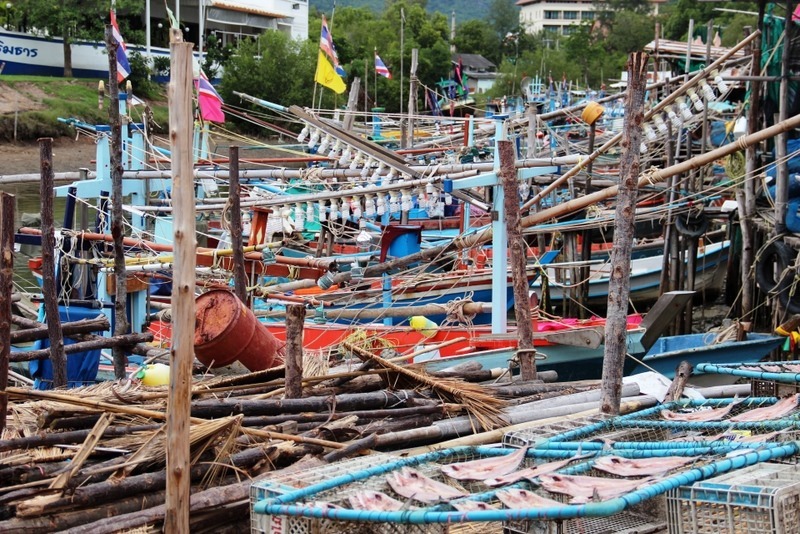 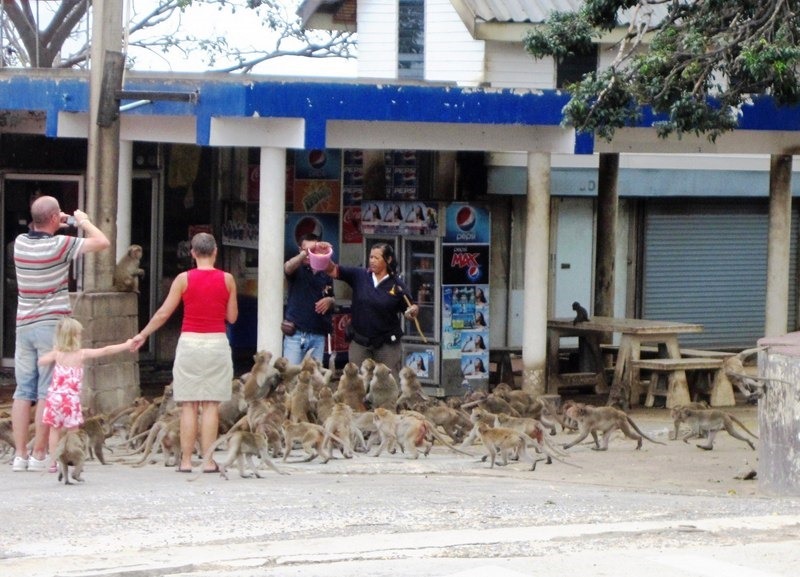 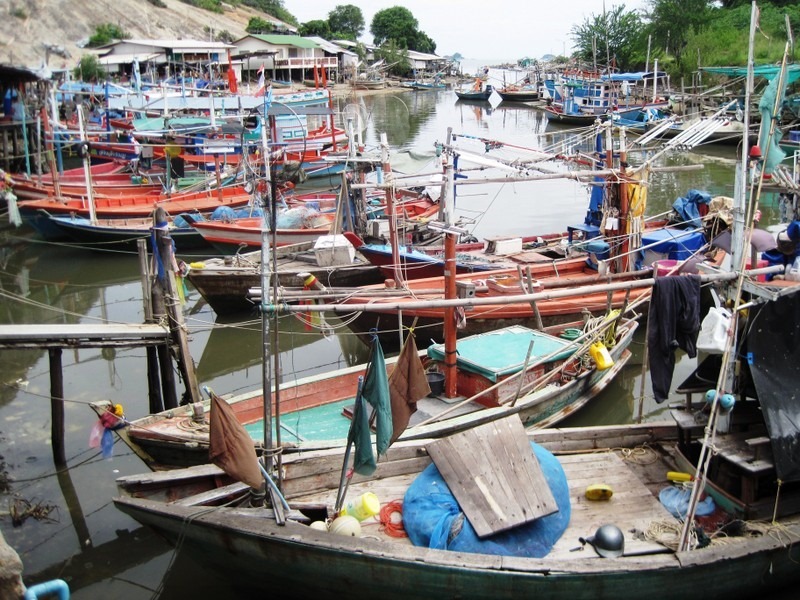 Situated on the coast of the Gulf of Thailand, Hua Hin is located about 2.5 hours by car southwest of Bangkok. 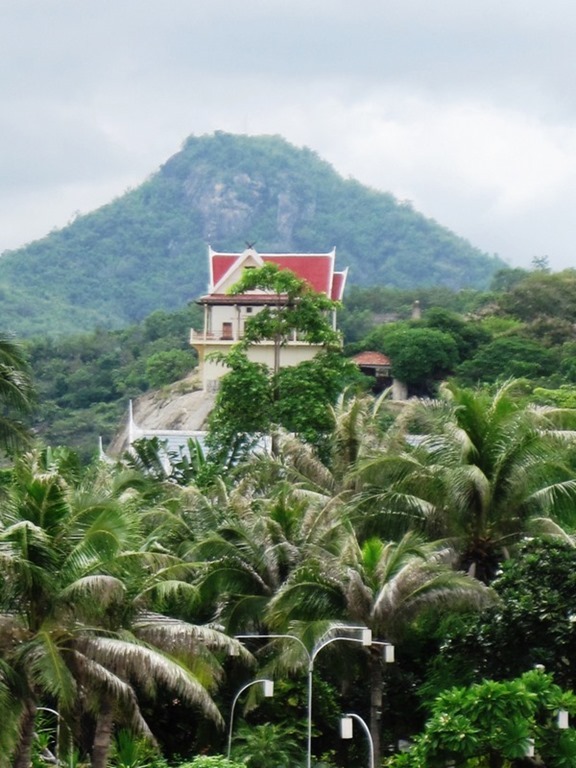 Best known as the site of Wang Klai Kang Won royal palace, Hua Hin is a convenient getaway for city dwellers who want to get out of town or hit the beach. 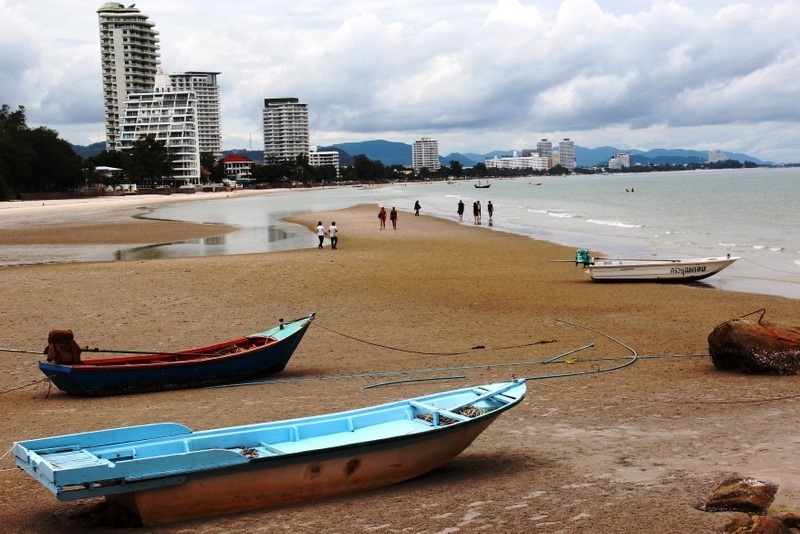 It’s not as touristy, and the beaches aren’t as nice, as more popular destinations such as Phuket or Ko Samui, but Hua Hin has steadily developed as a tourist magnet in its own right. 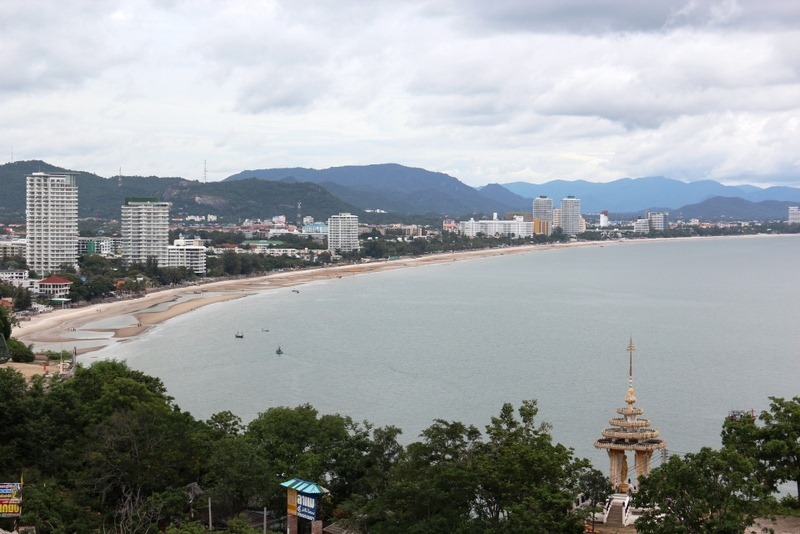 The Venezia, an Italian-style shopping center and Santorini Park, a Greek-themed shopping and entertainment complex in nearby Cha Am, opened recently and have helped put Hua Hin on the map. 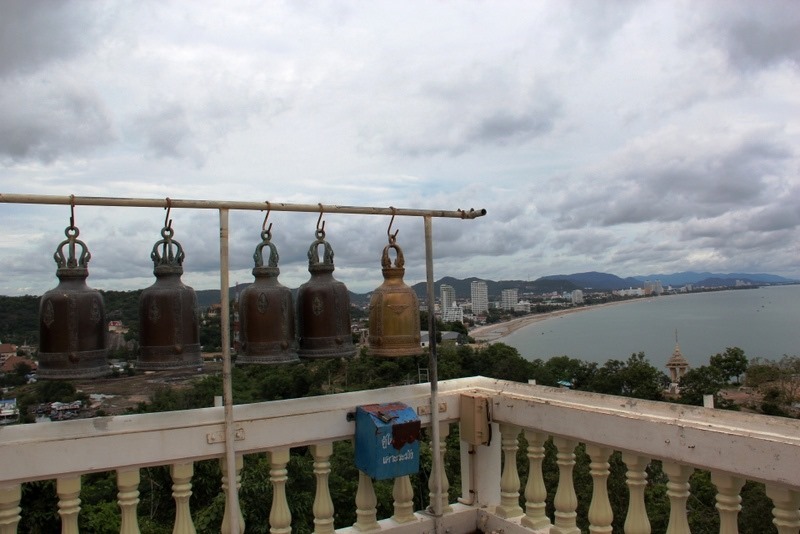 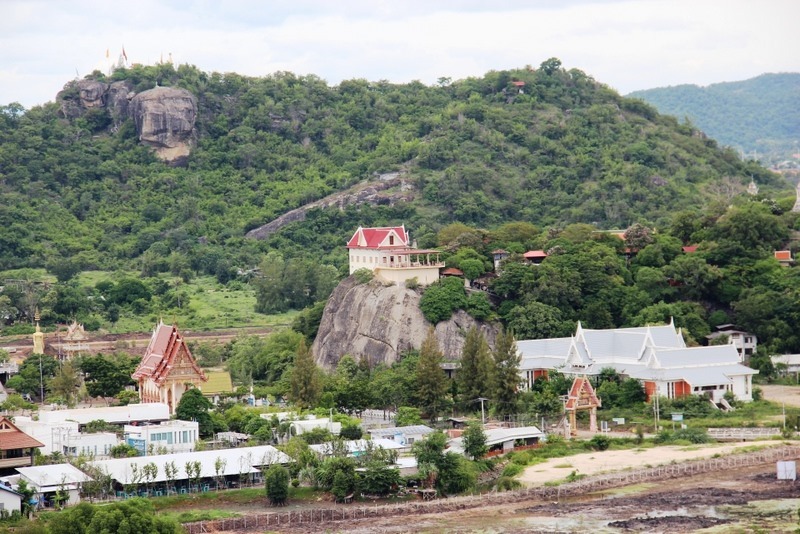 Below is a sweeping view of the Hua Hin waterfront from Wat Khao Takiap, one of the city’s prominent Buddhist temples atop Chopsticks Hill (Khao Takiap). 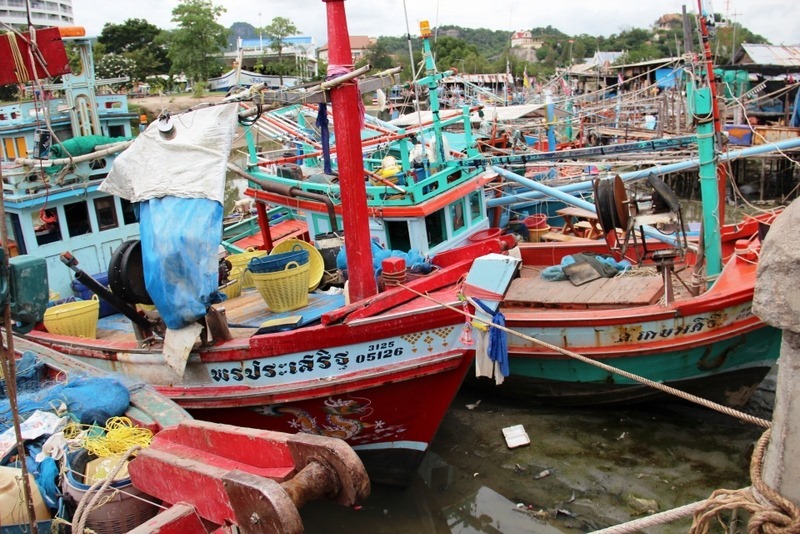 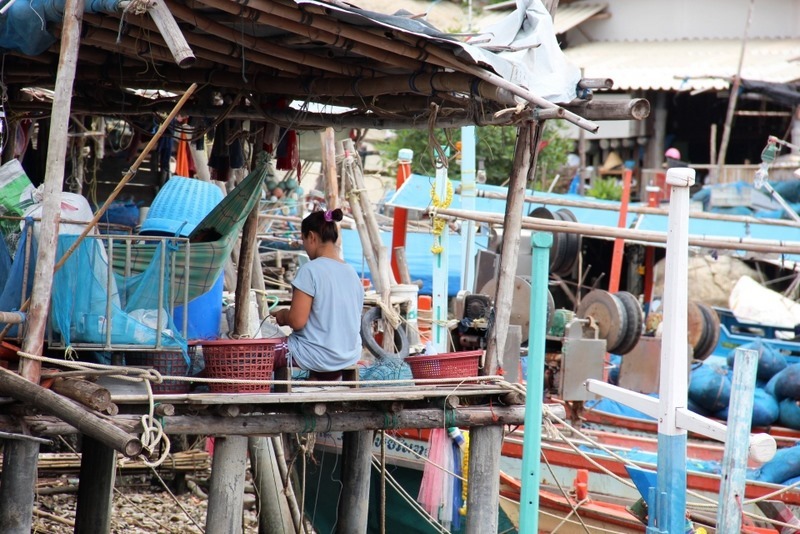 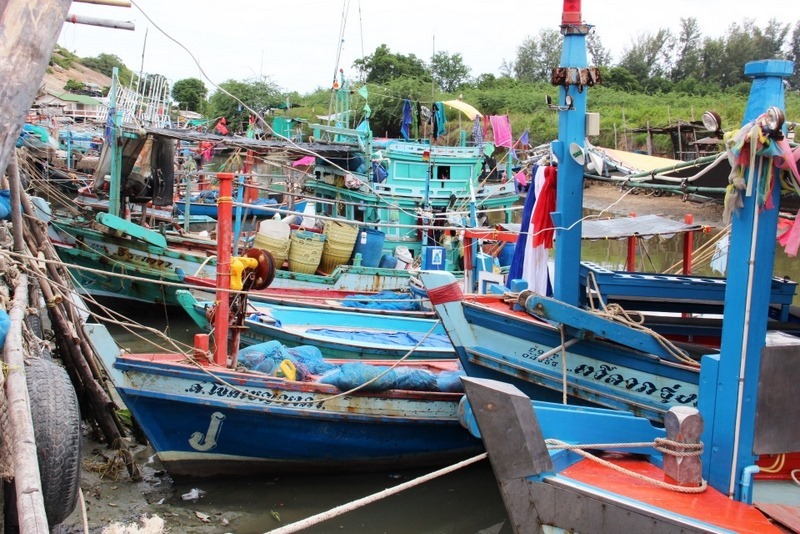 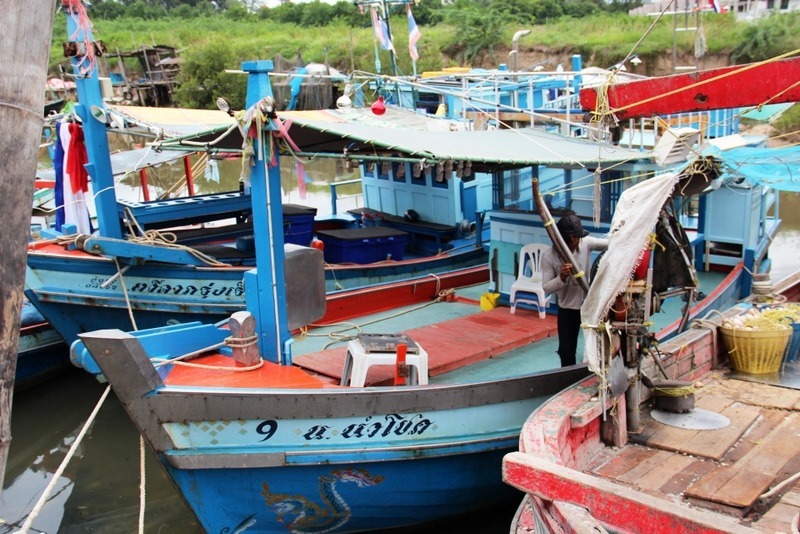 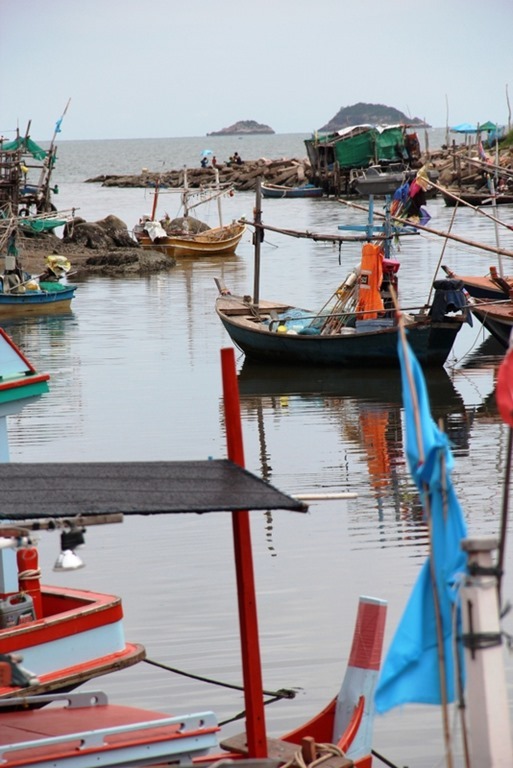 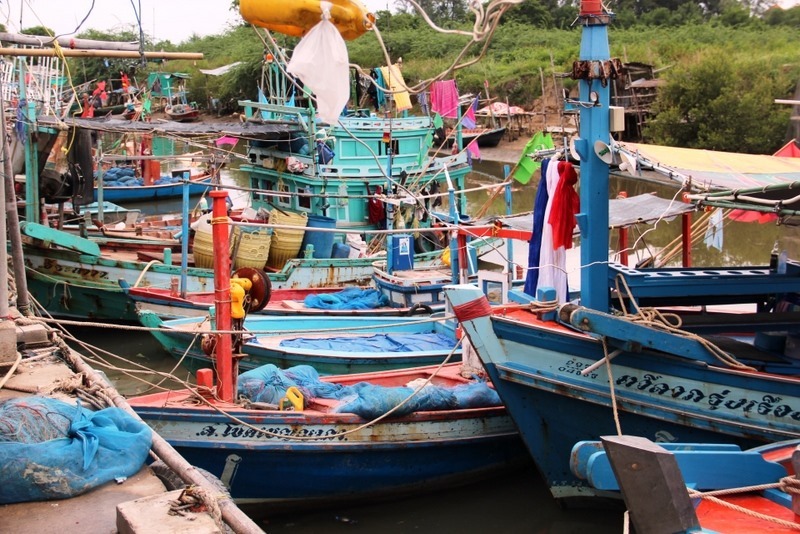 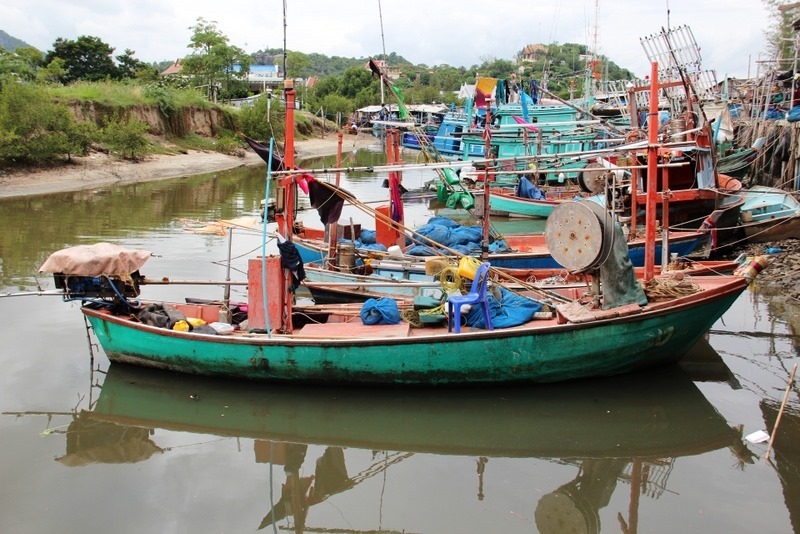 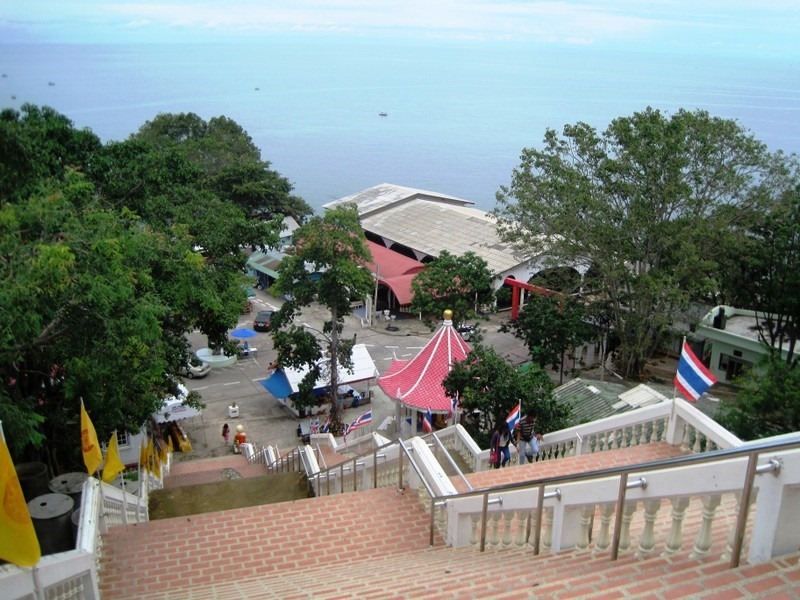 This is a view of the Gulf of Thailand from the waterfront. 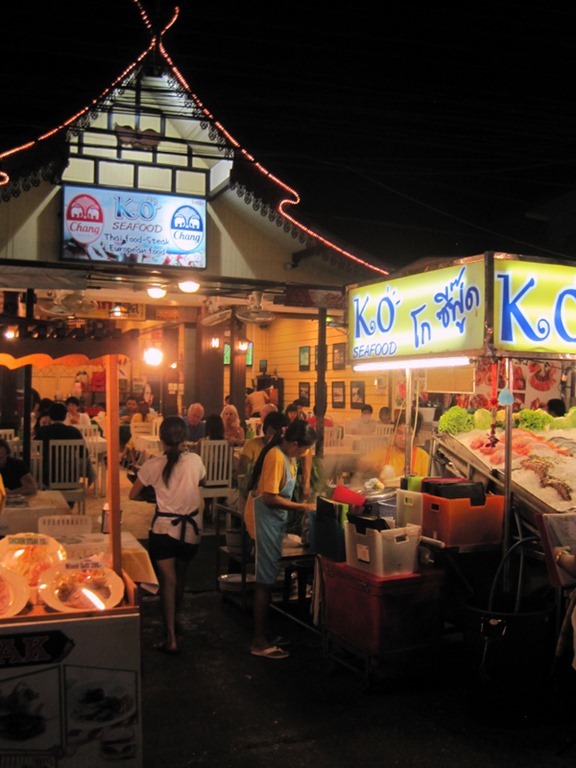 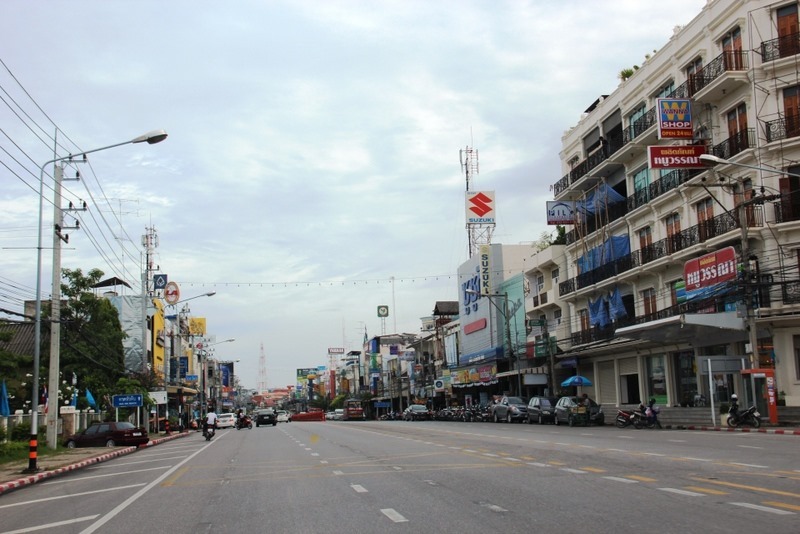 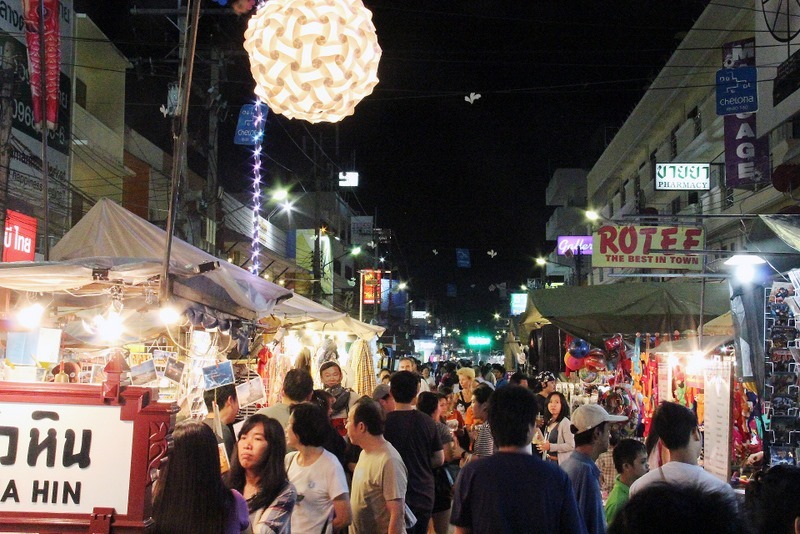 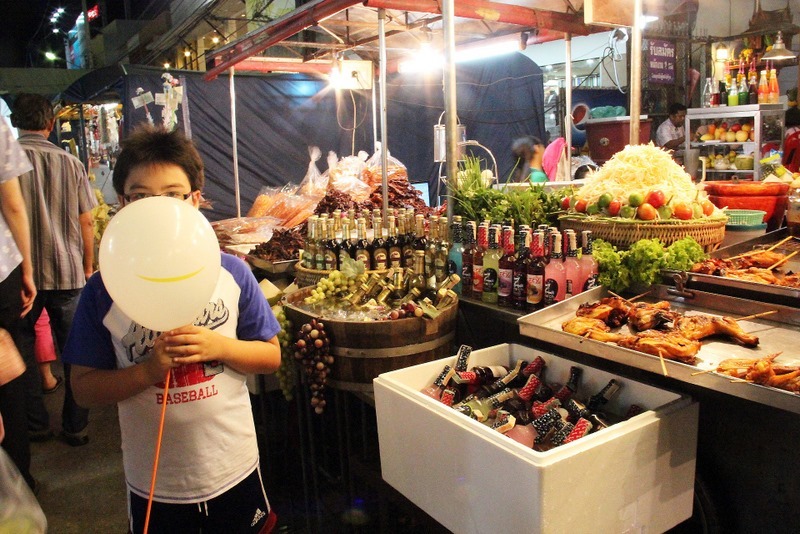 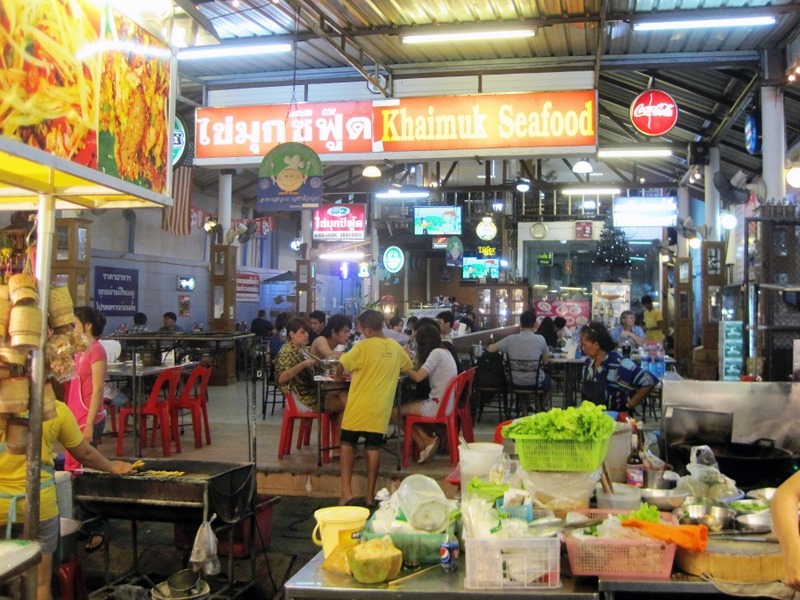 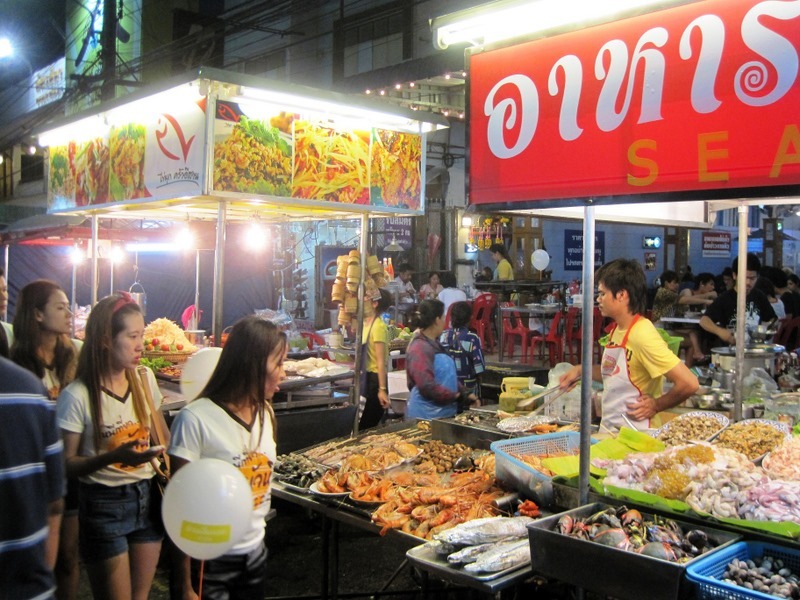 The city’s main street, Phetkasem Road (Highway 4), runs north-south through town past shopping malls, hotels, and a night market. 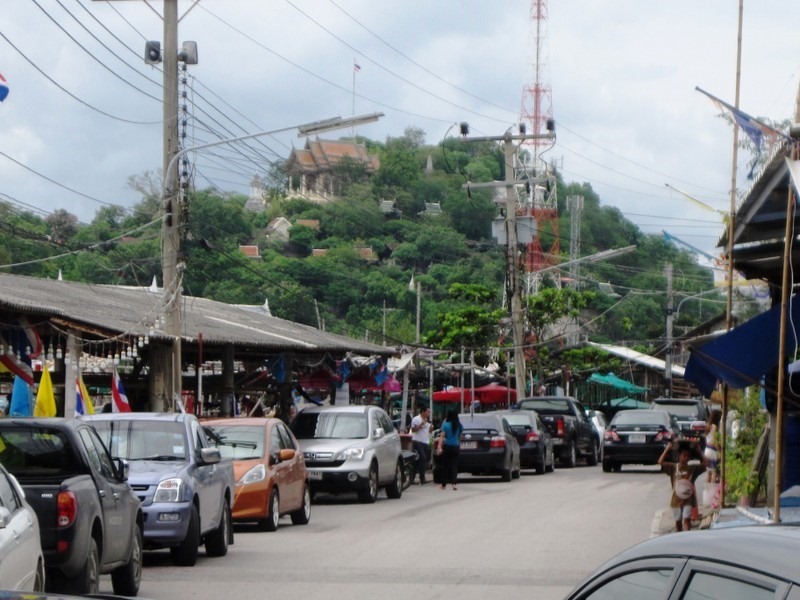 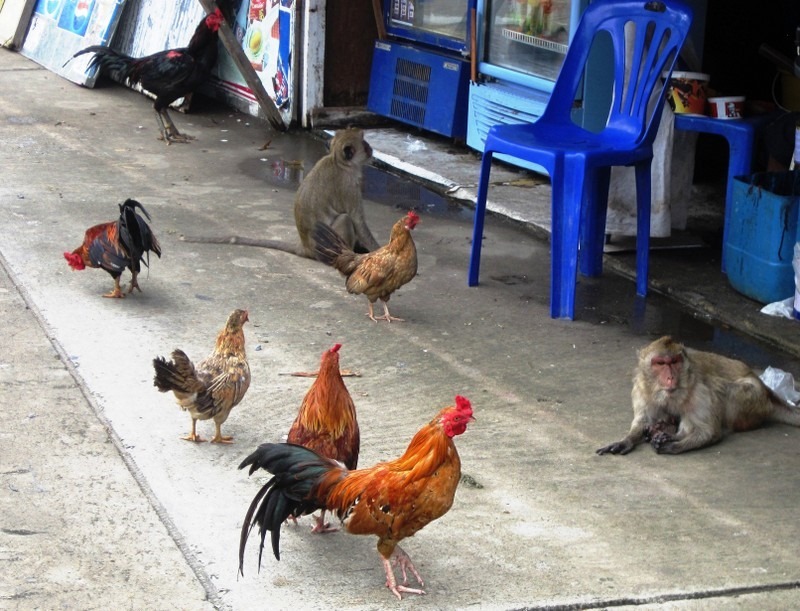 It looks like many busy business districts in Thailand. 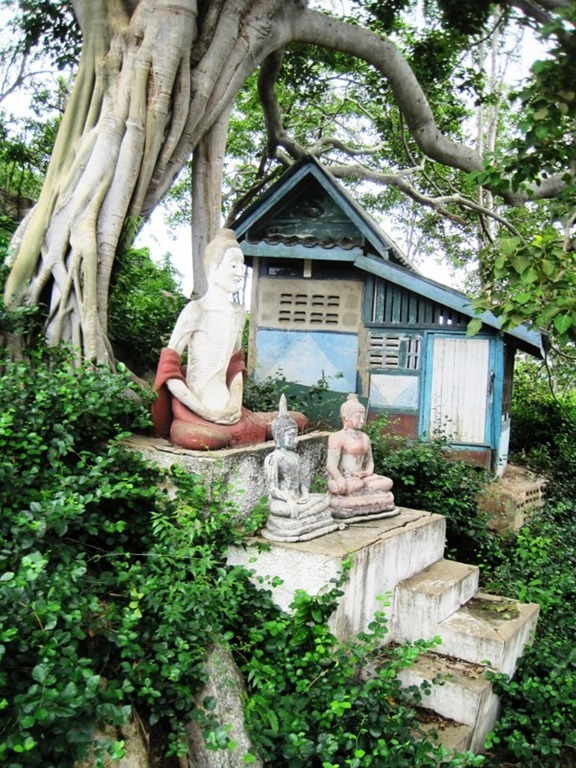 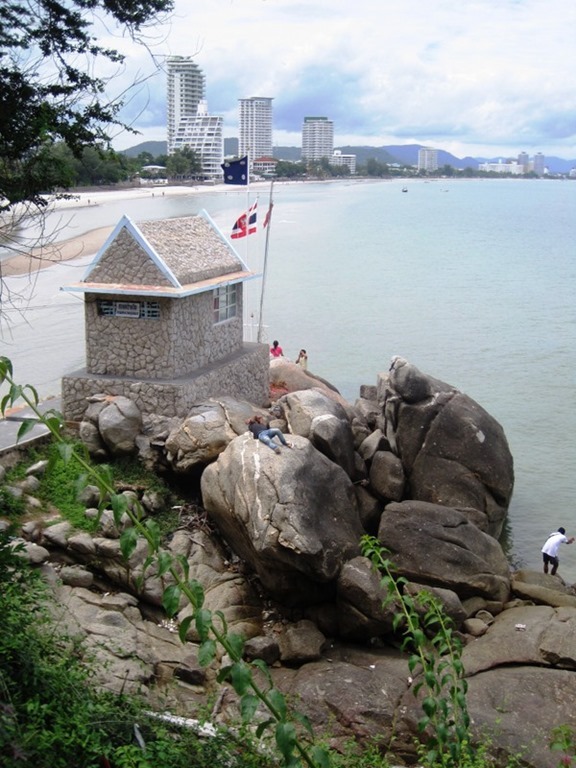 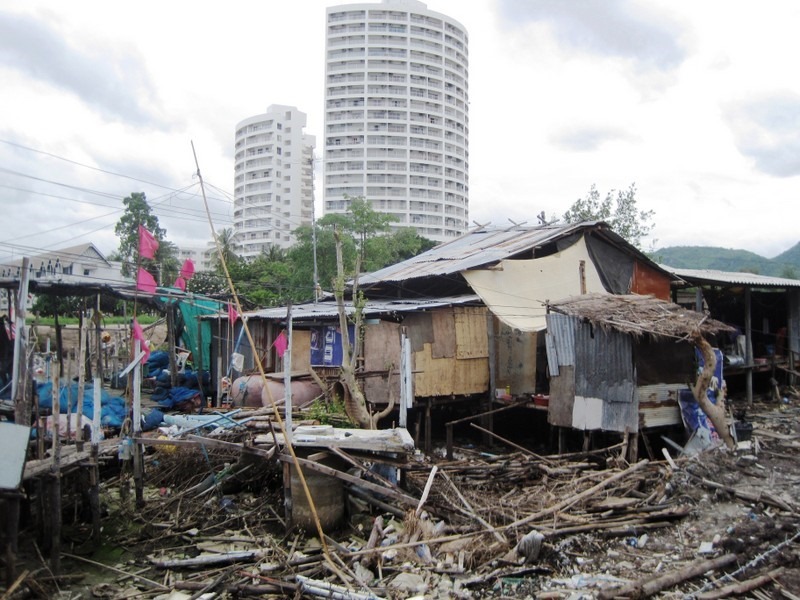 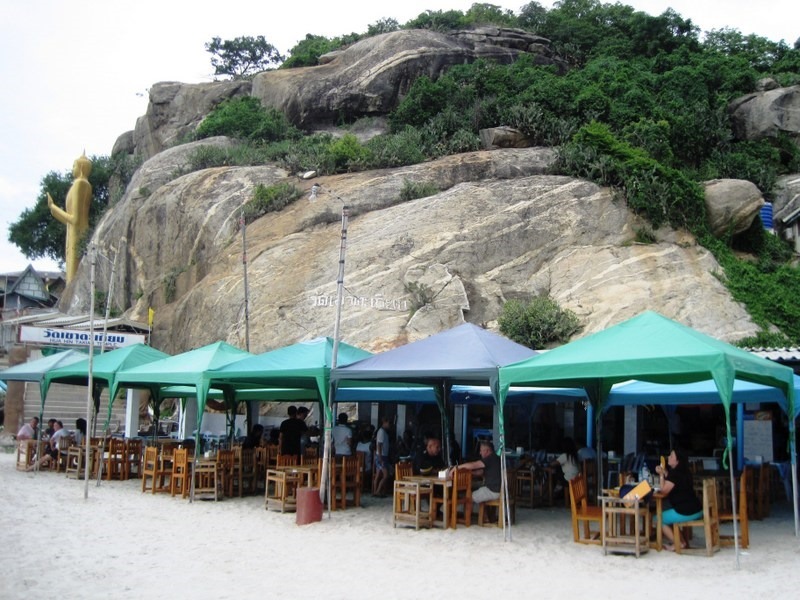 A stone building near the rocky beach below the temple offers great views of the Gulf of Thailand and the city. 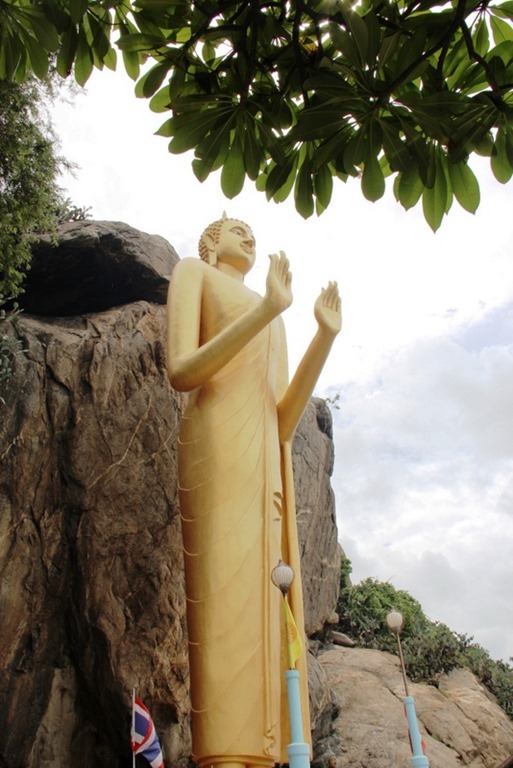 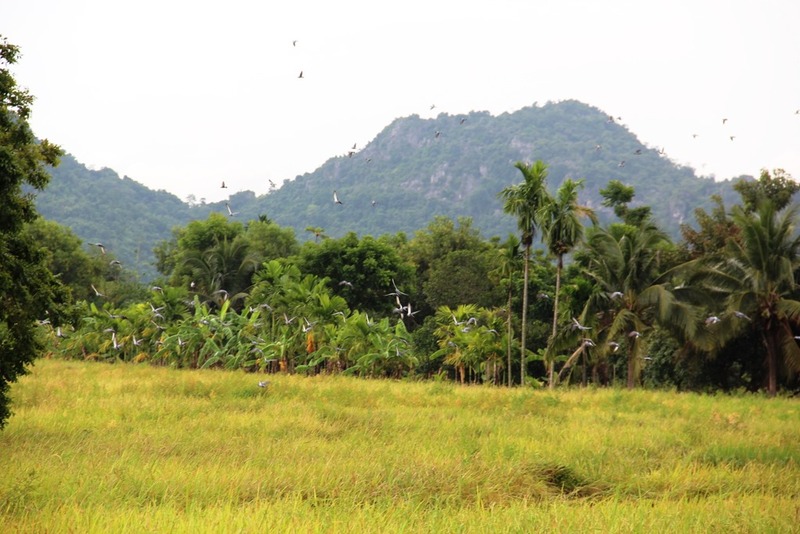 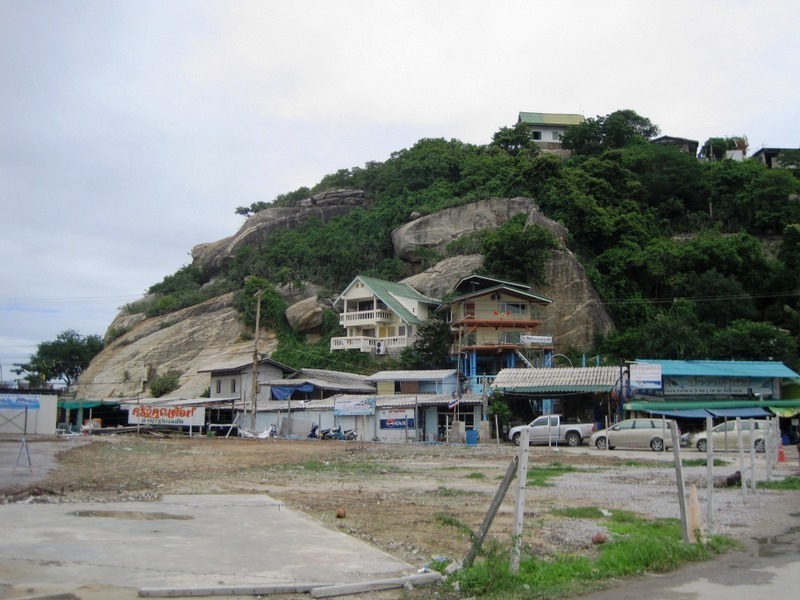 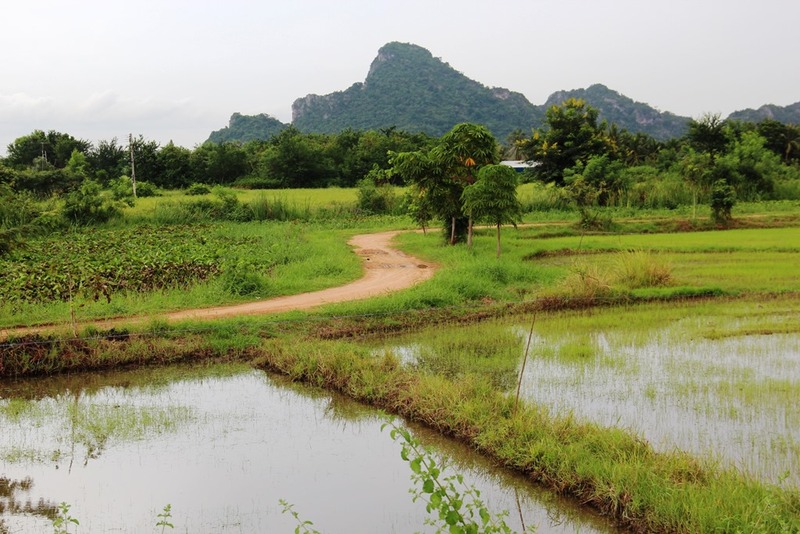 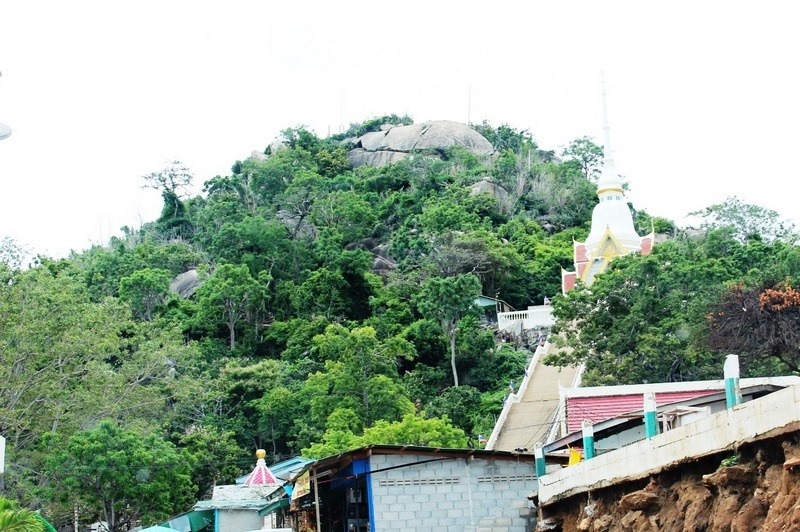 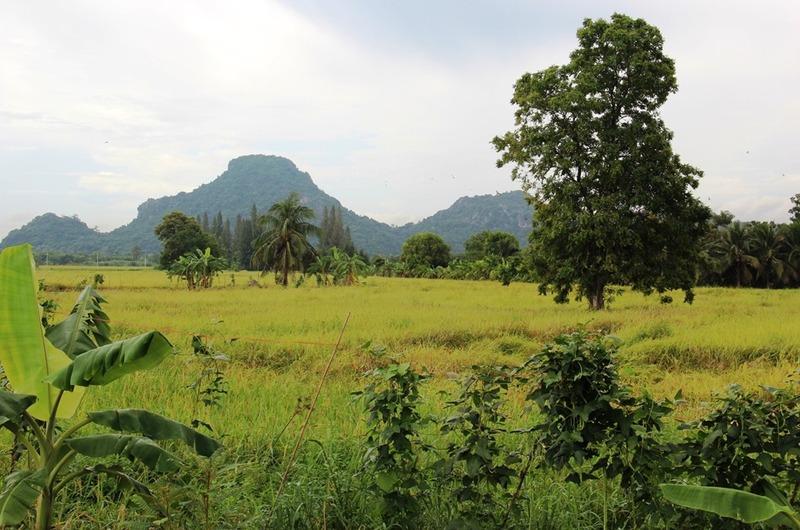 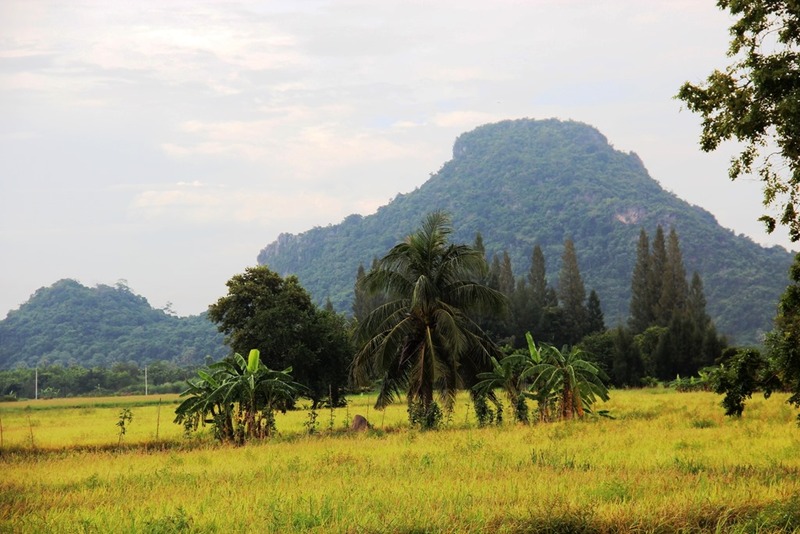 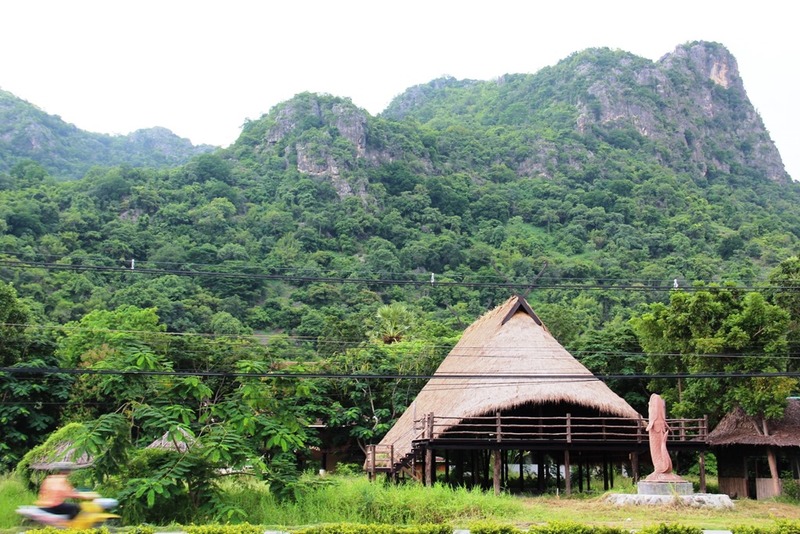 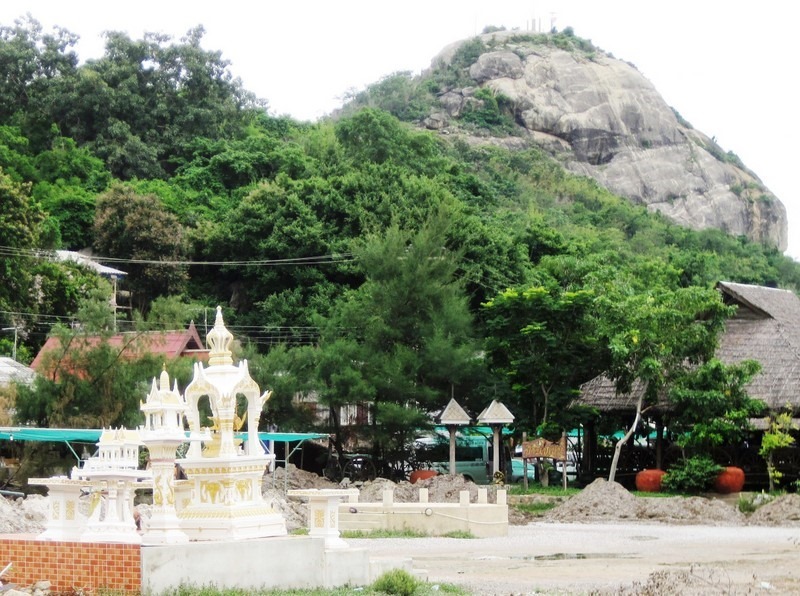 The foothills of the Tenasserim Range straddling Myanmar (Burma) and Thailand crowd Hua Hin with worn hills that serve as pedestals for Buddhist sites such as the Wat Khao Krailas temple. 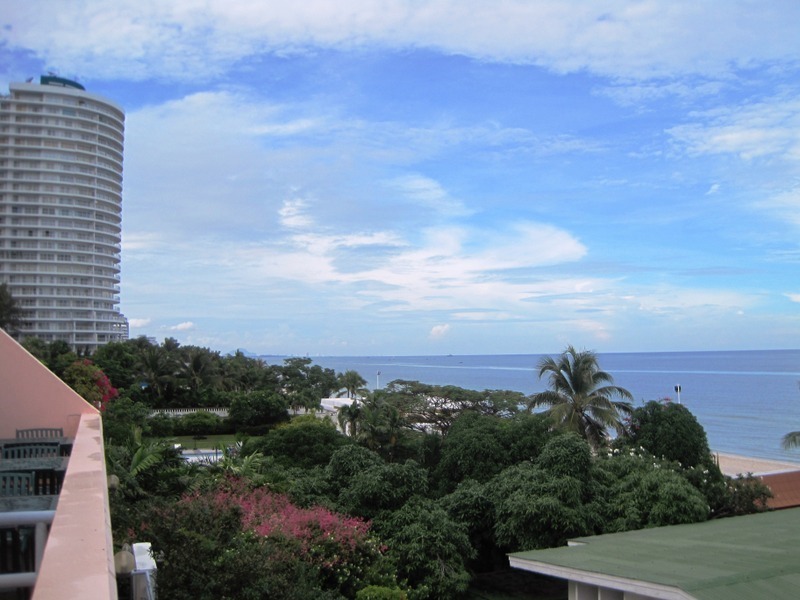 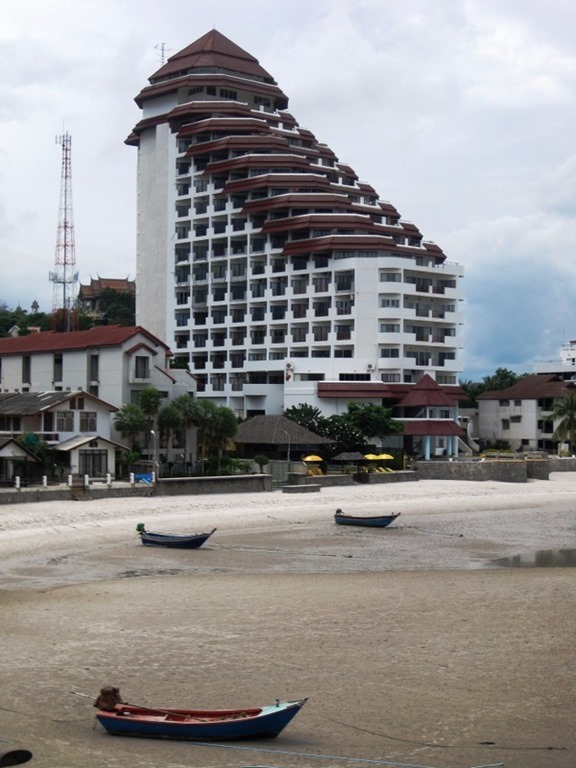 The traditional architecture contrast with the modern high-rise hotels and condos hugging the Hua Hin waterfront. 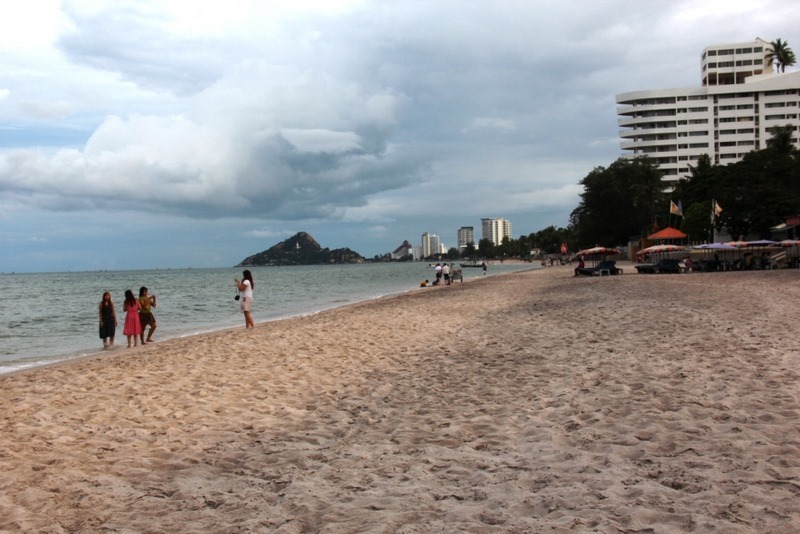 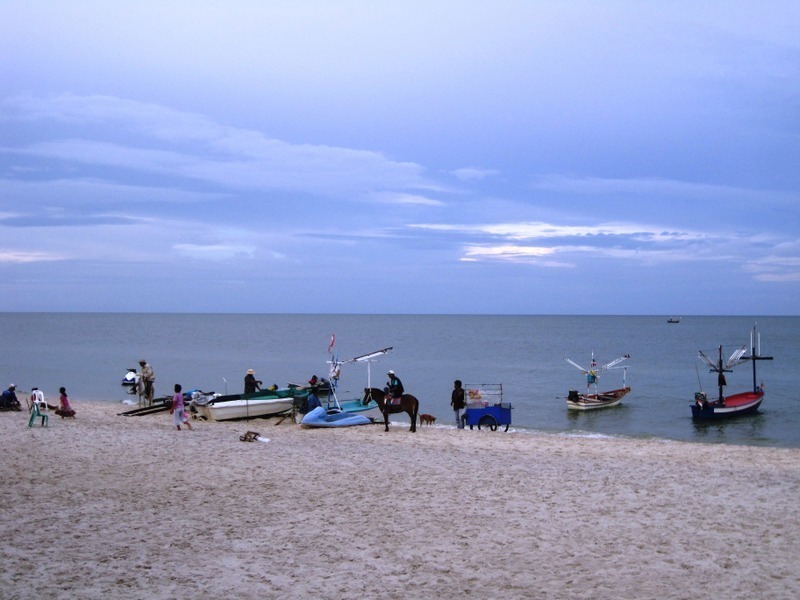 Although the sky was overcast when we visited Hua Hin in November 2012, the air was warm enough to enjoy the beach. 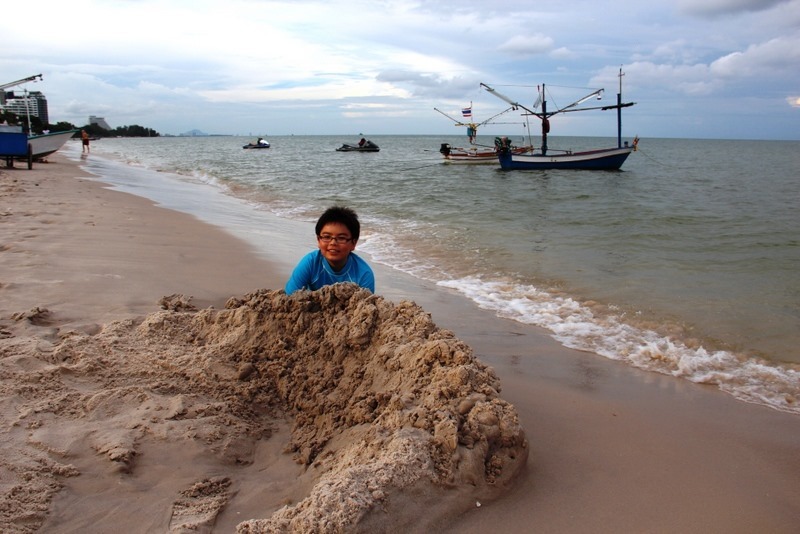 Our son enjoyed making sand castles and sculptures. 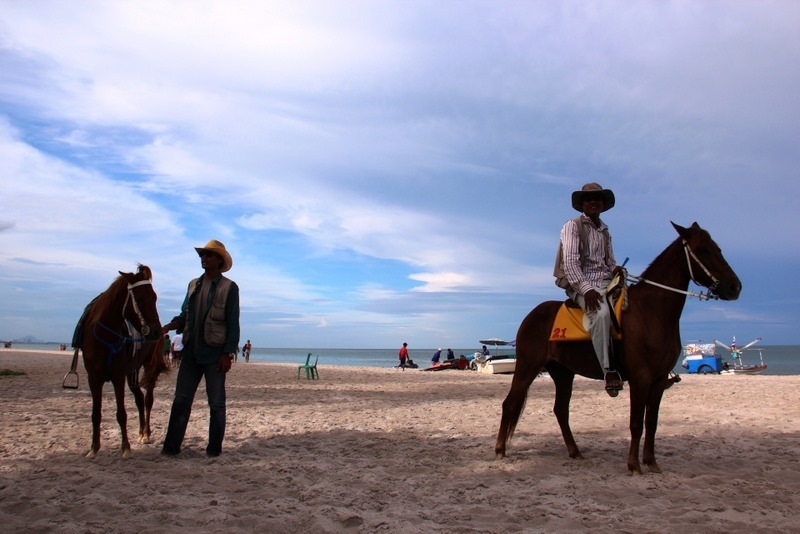 Vendors flocked to this little boy on an almost-empty beach, begging him to go on horse rides and buy souvenirs. 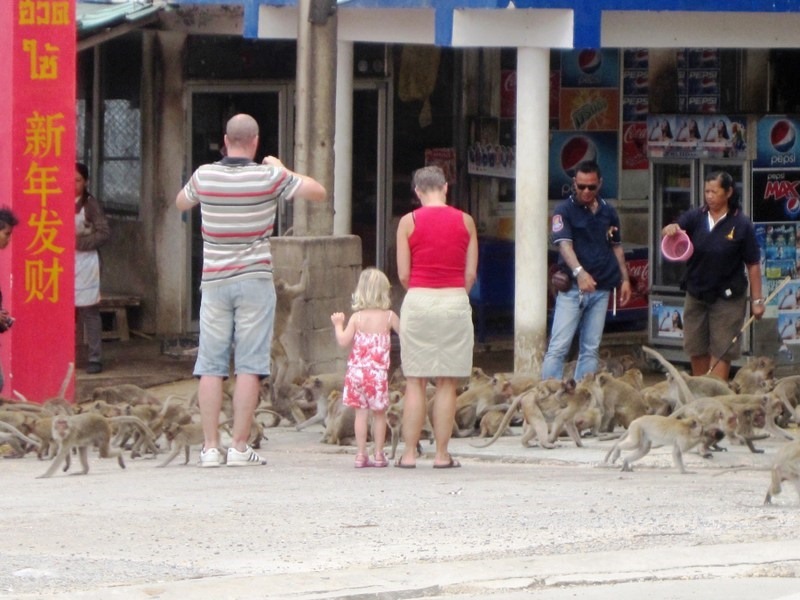 He was having too much fun in the sand to pay much attention to them. 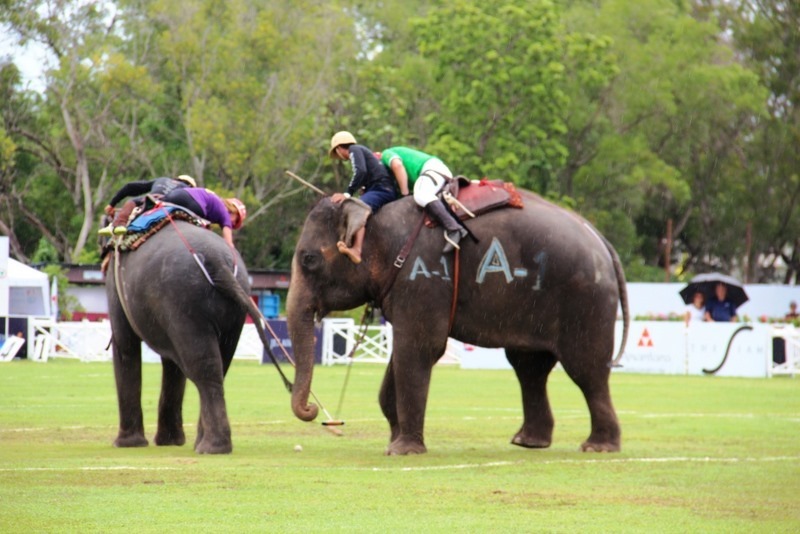 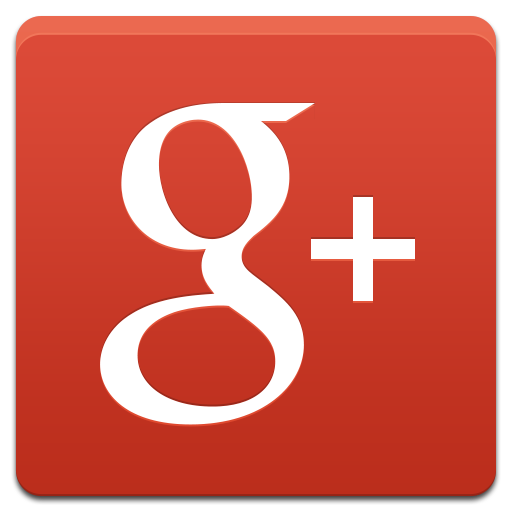 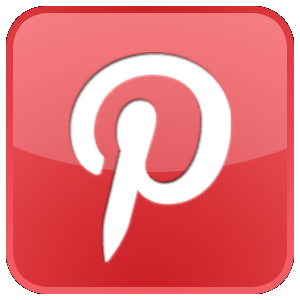 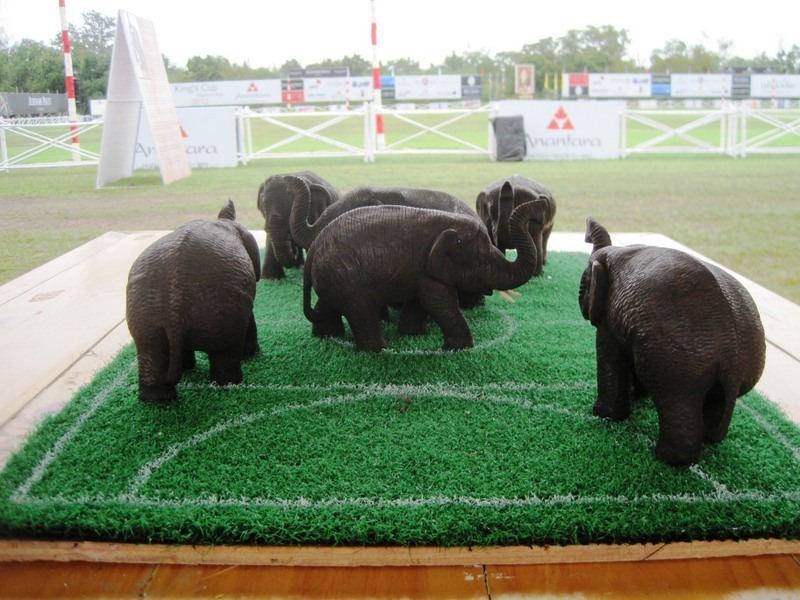 …Ellie the Elephant playing elephant polo!